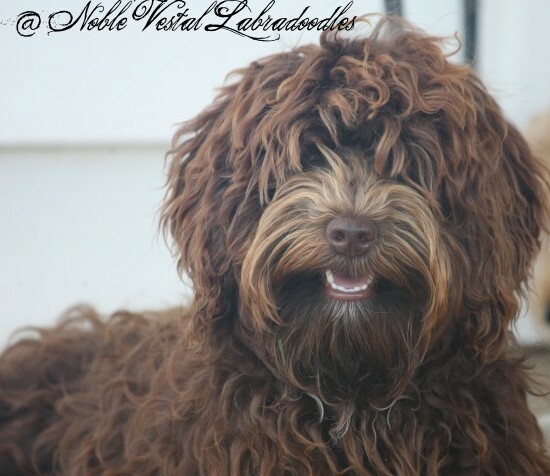 Am I Right For The Breed? 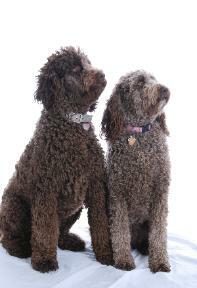 You’ve seen them in town with their owners. It was cute! 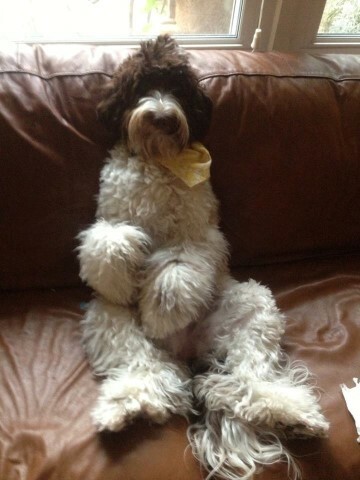 It was so well behaved. 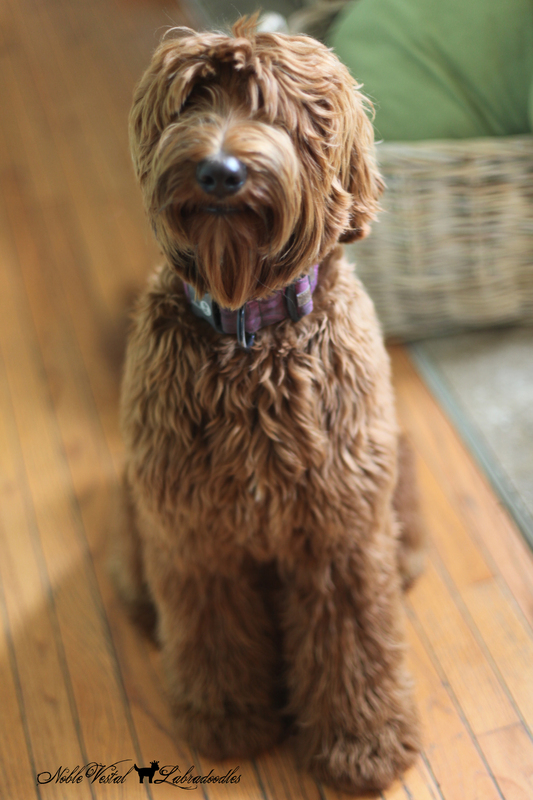 It was friendly. 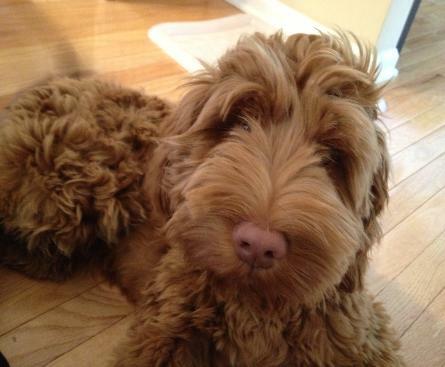 It looked like a real live teddy-bear! 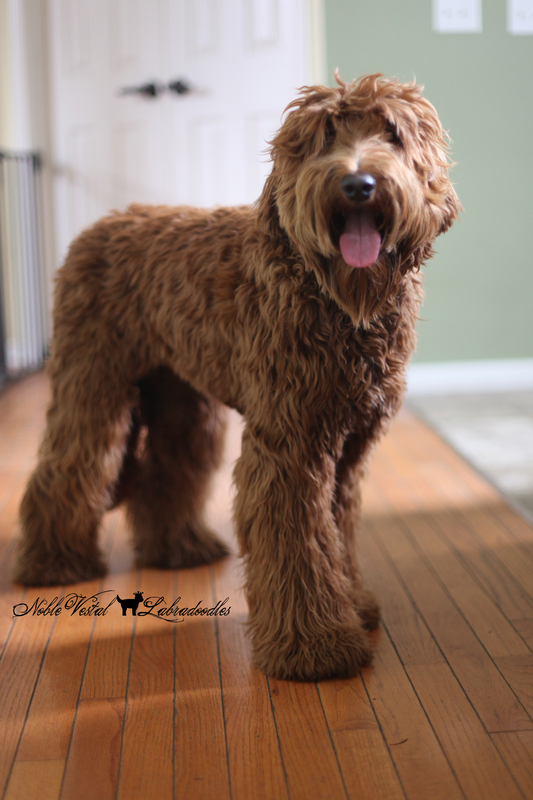 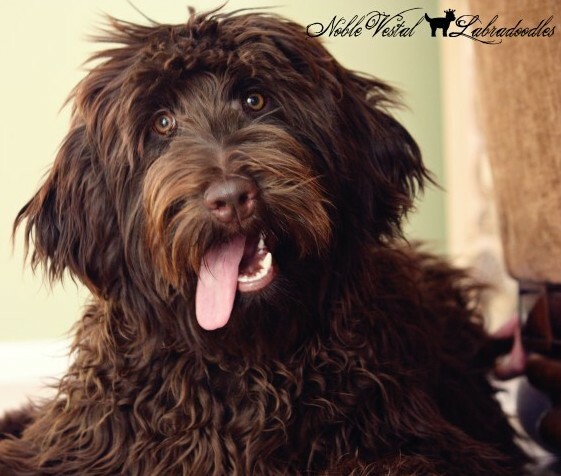 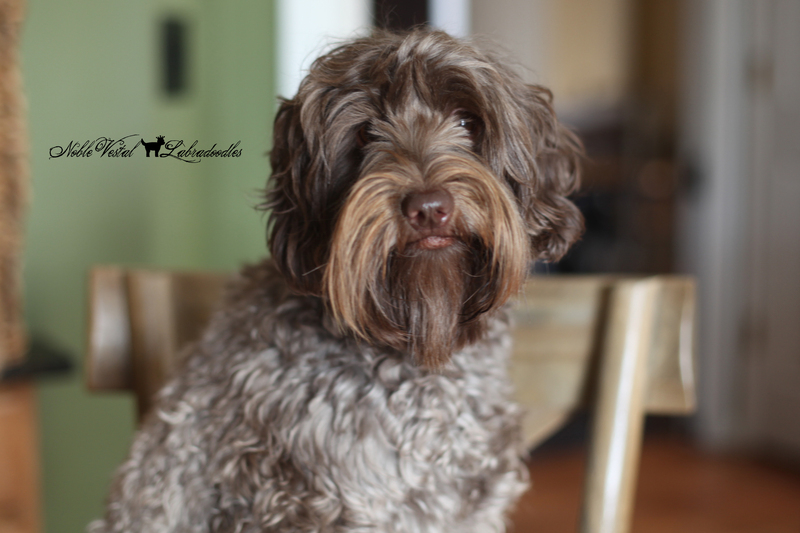 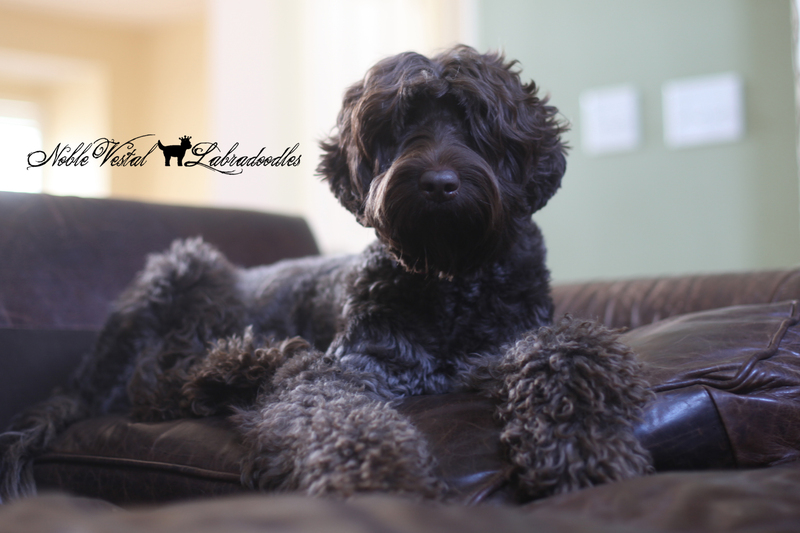 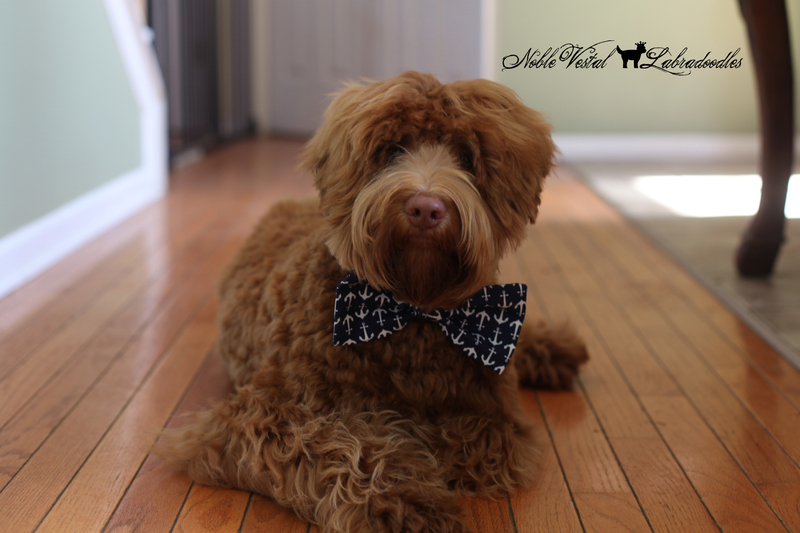 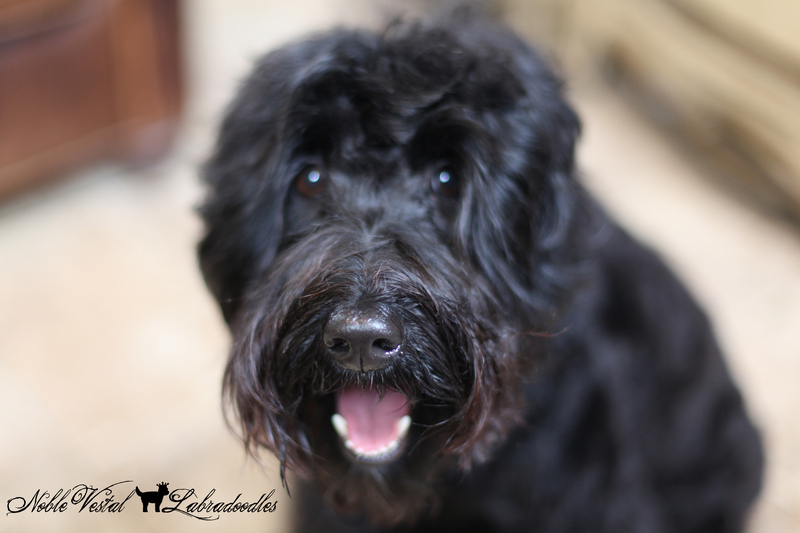 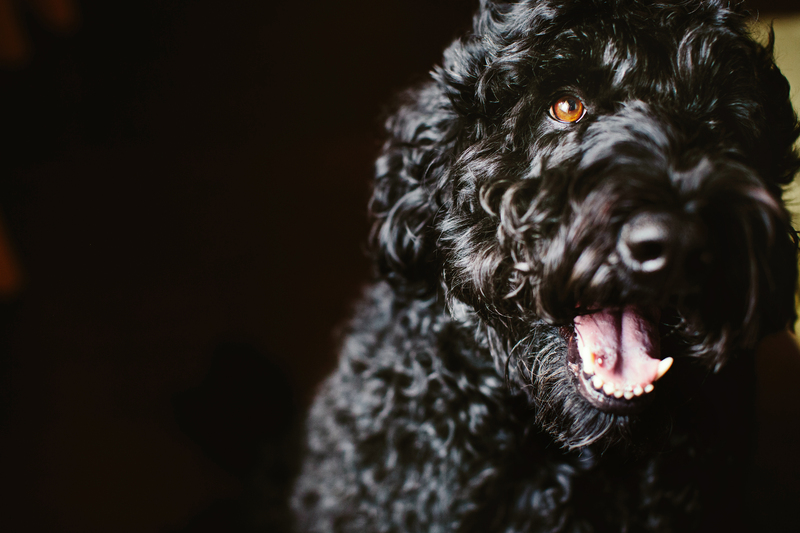 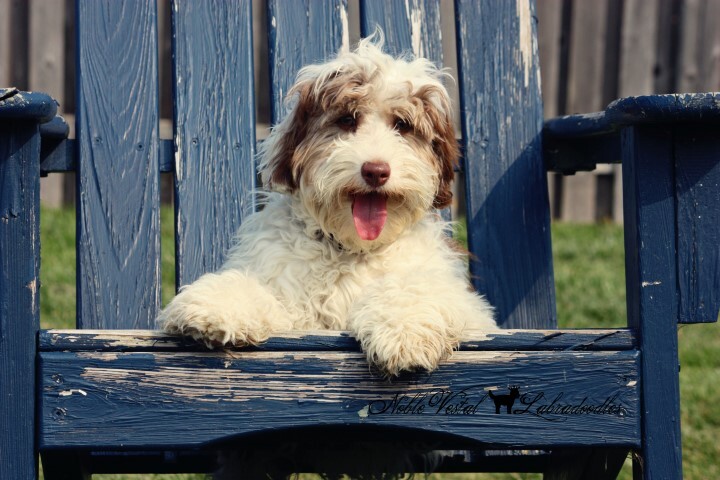 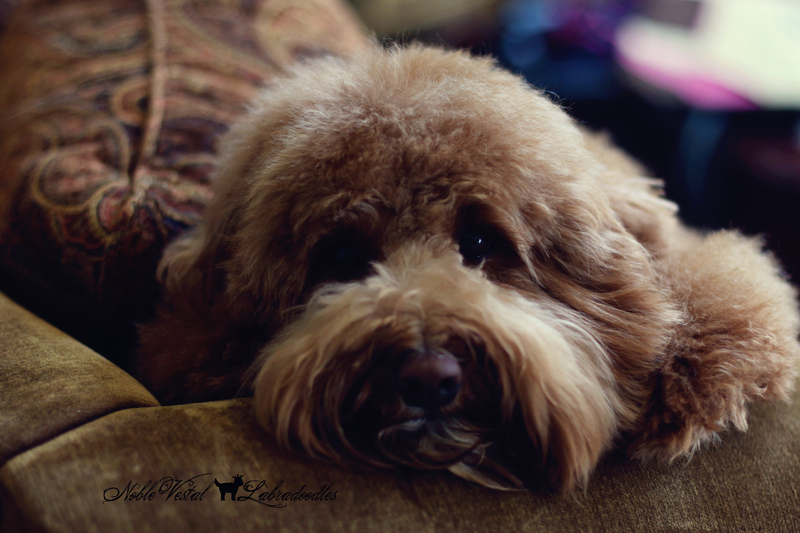 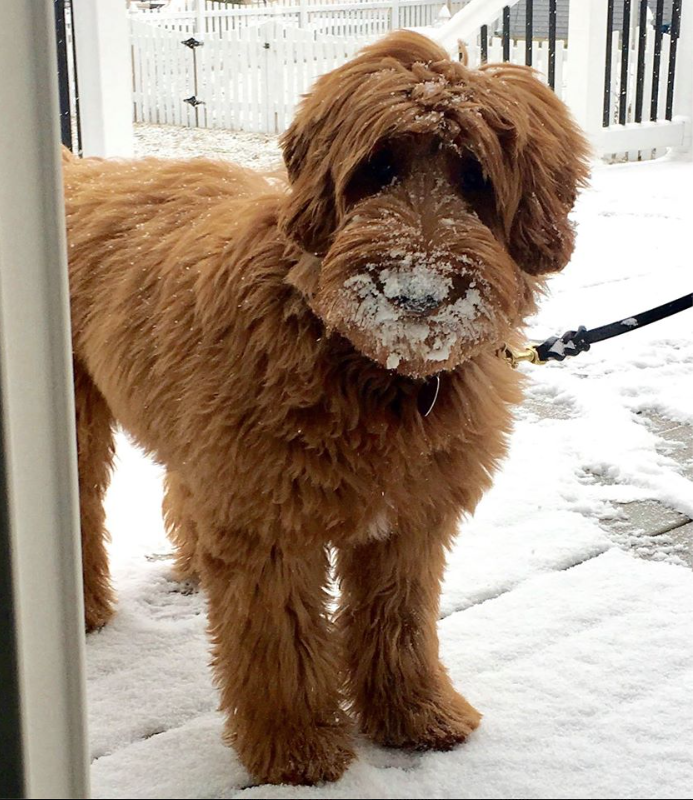 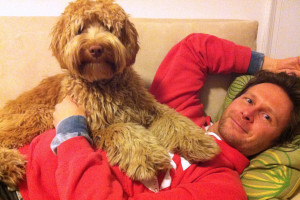 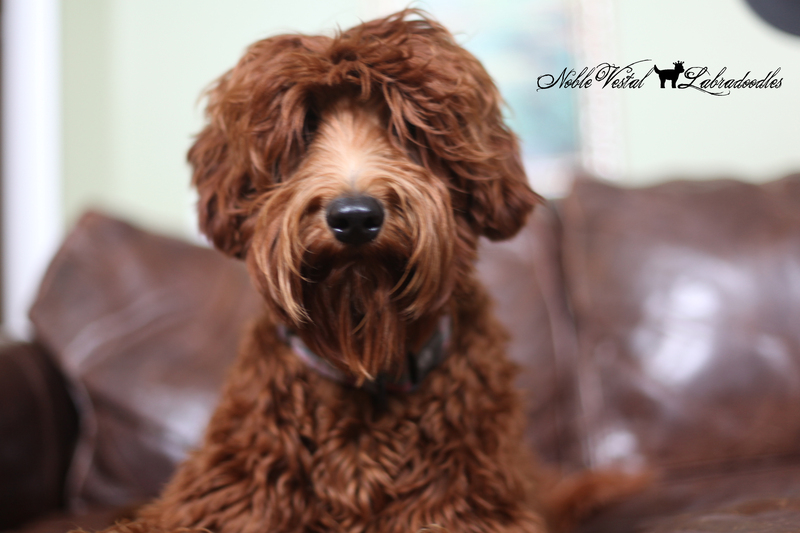 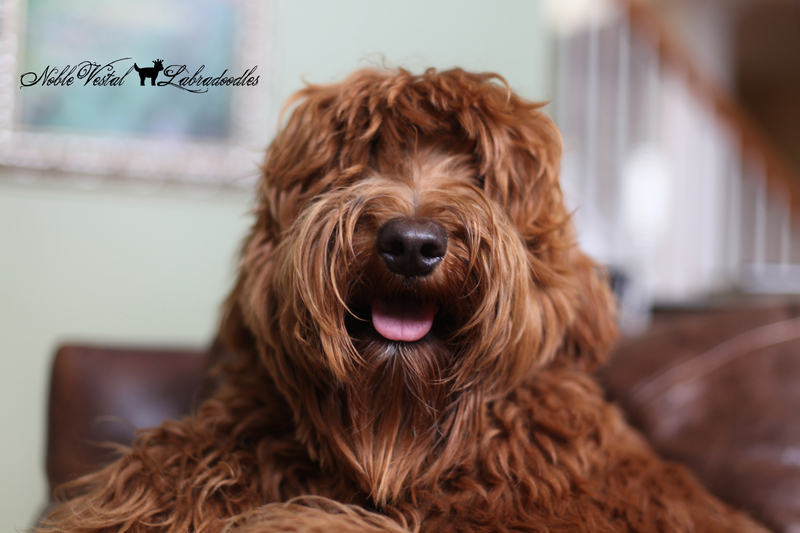 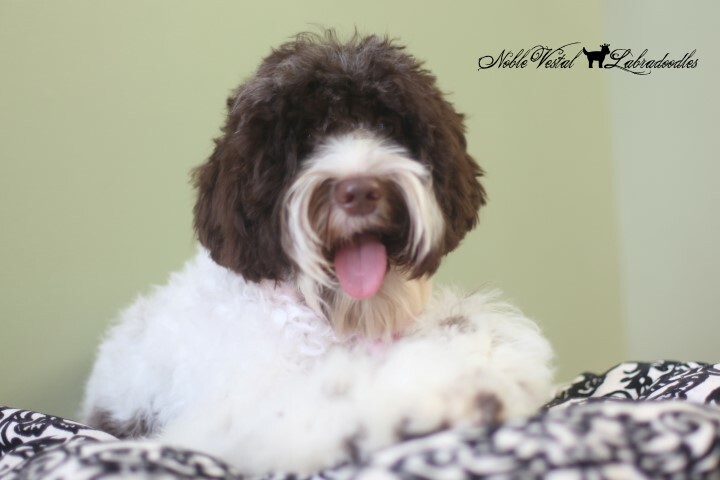 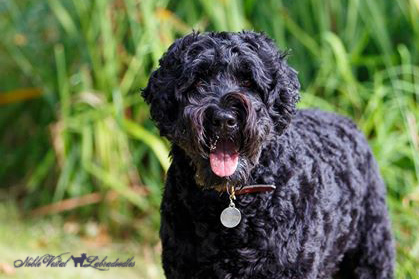 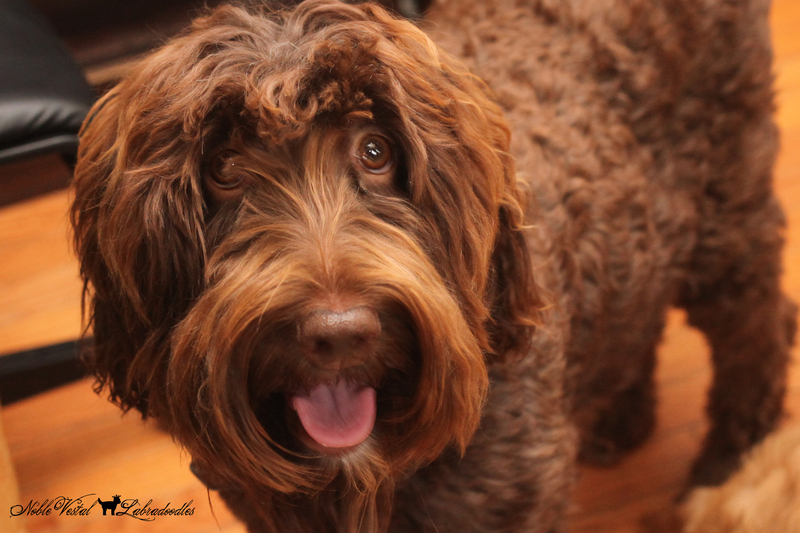 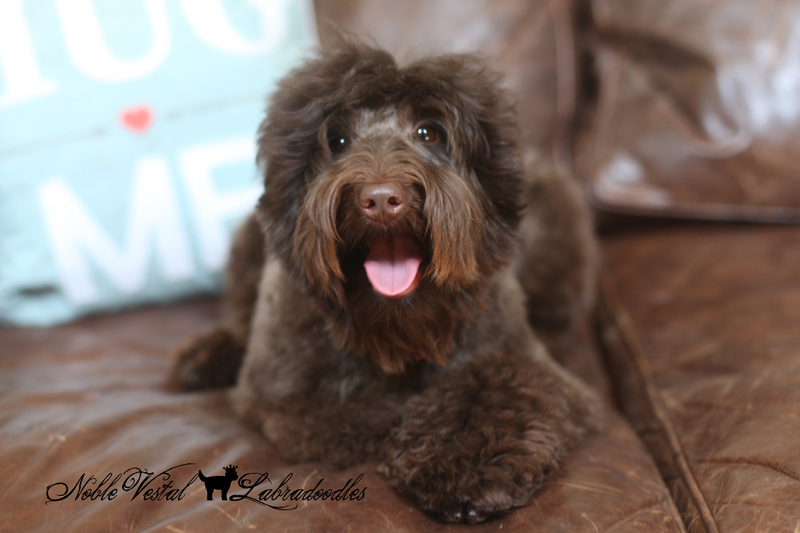 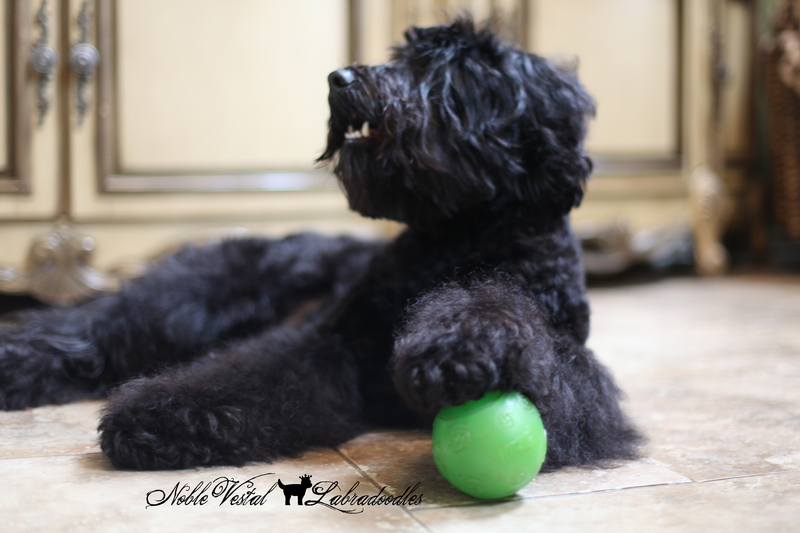 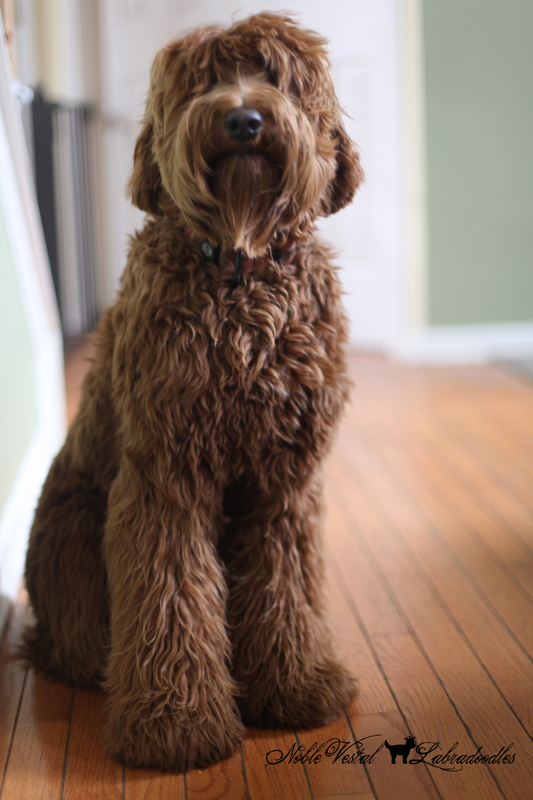 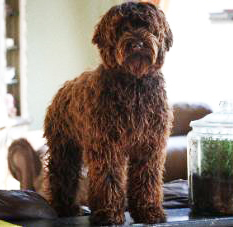 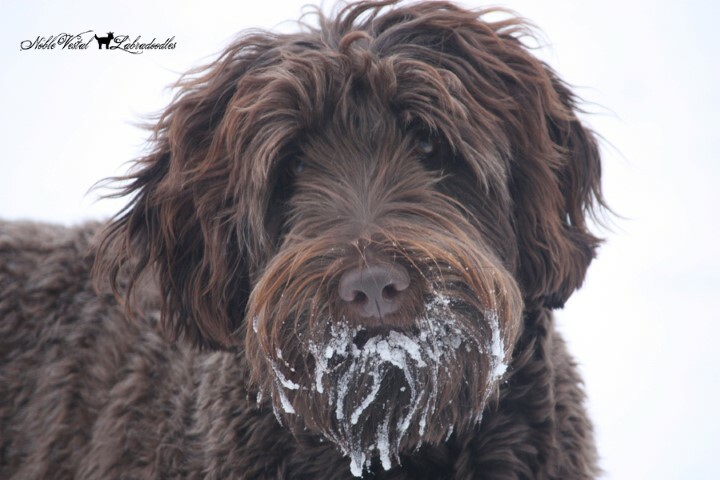 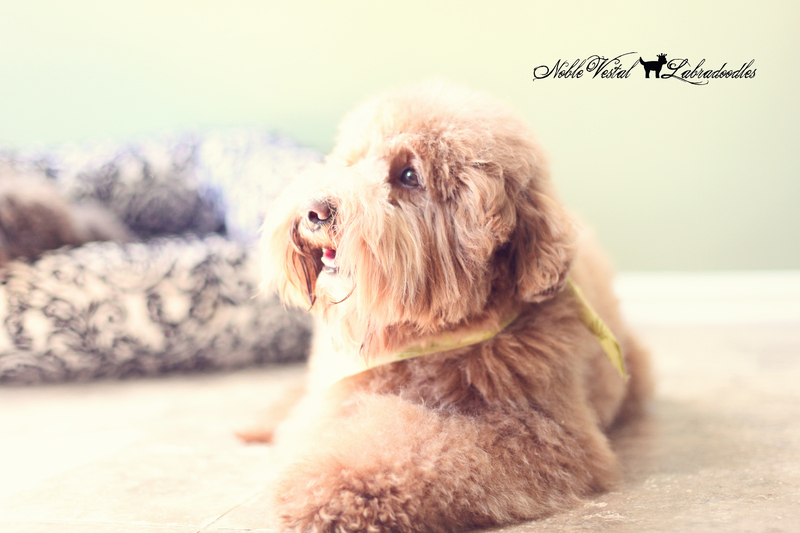 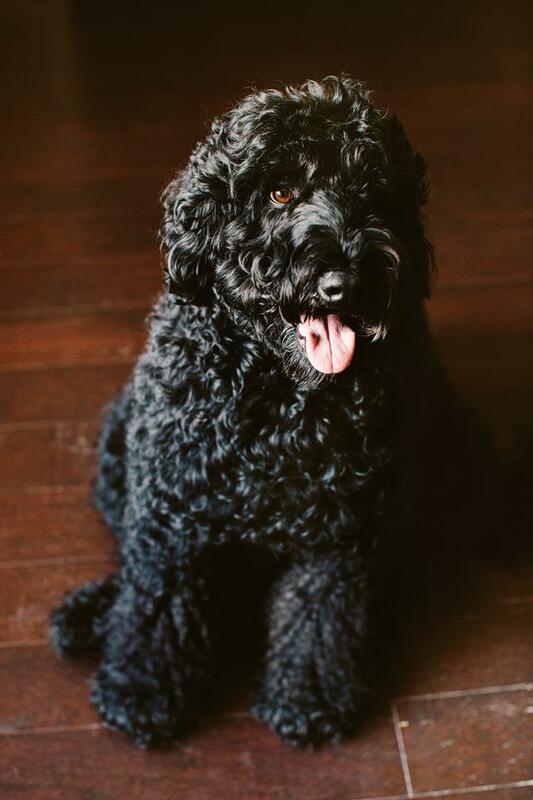 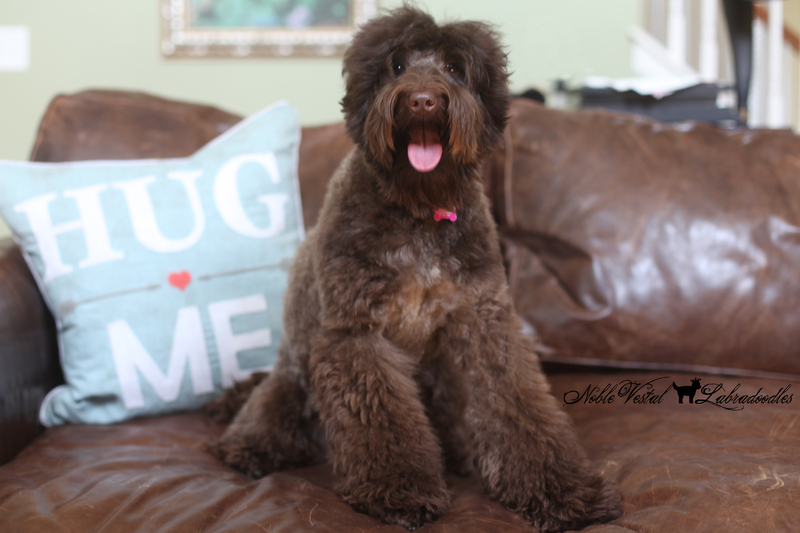 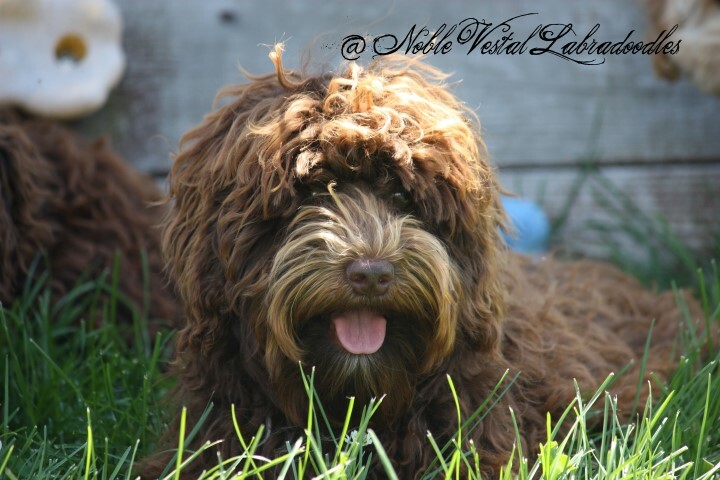 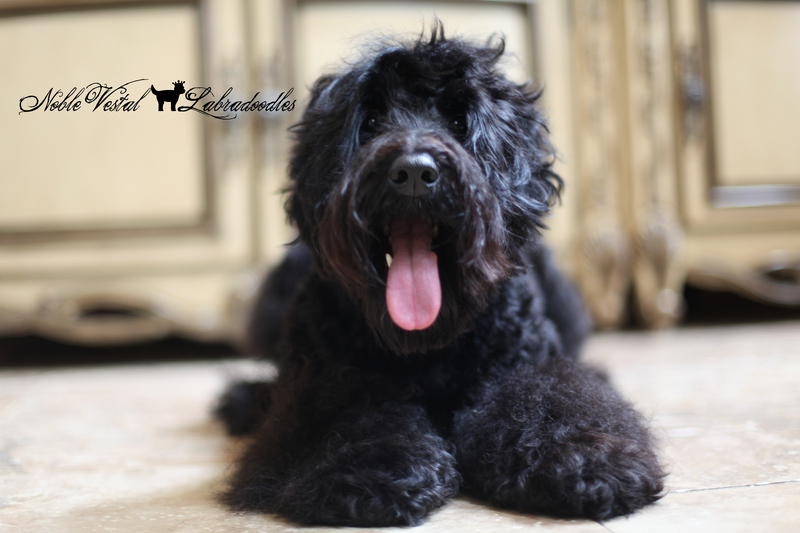 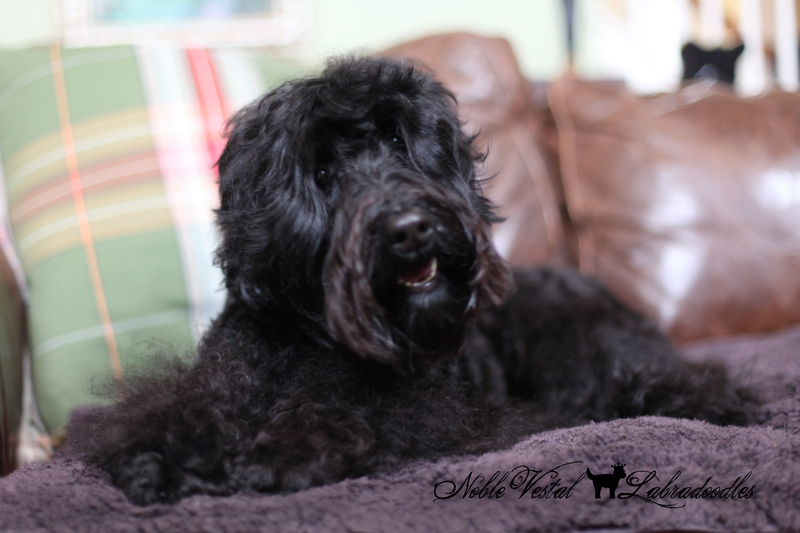 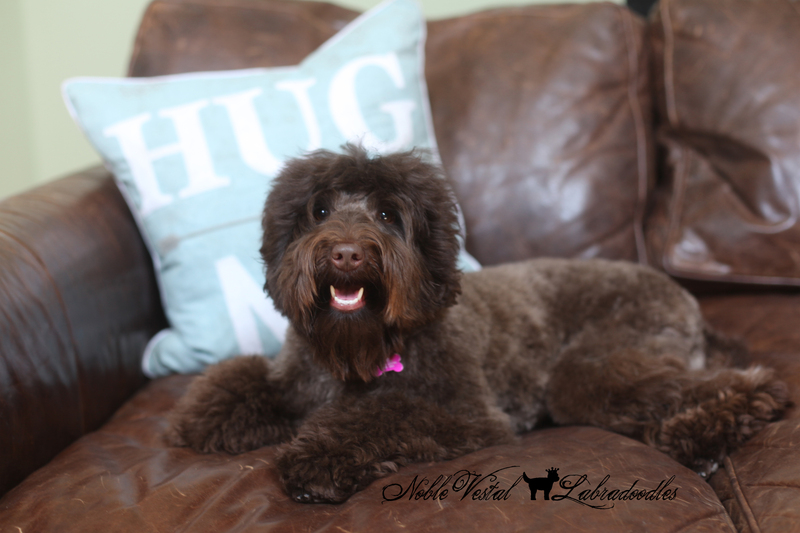 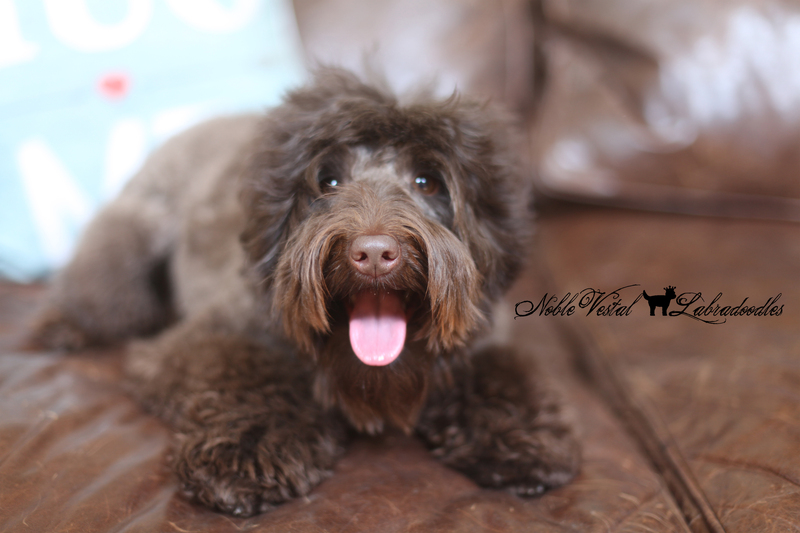 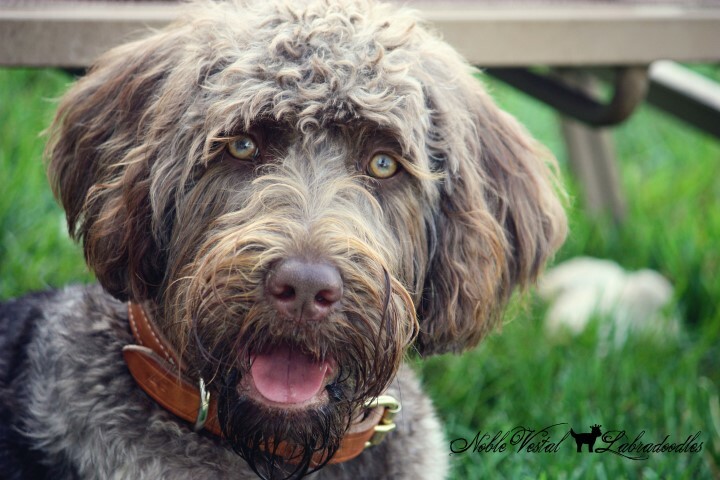 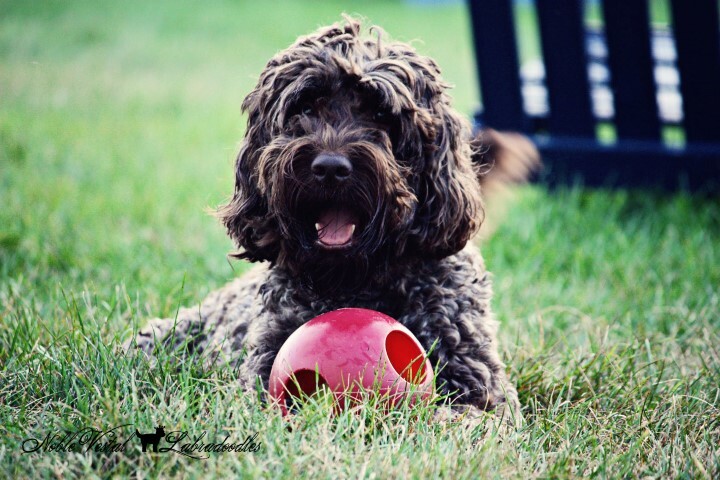 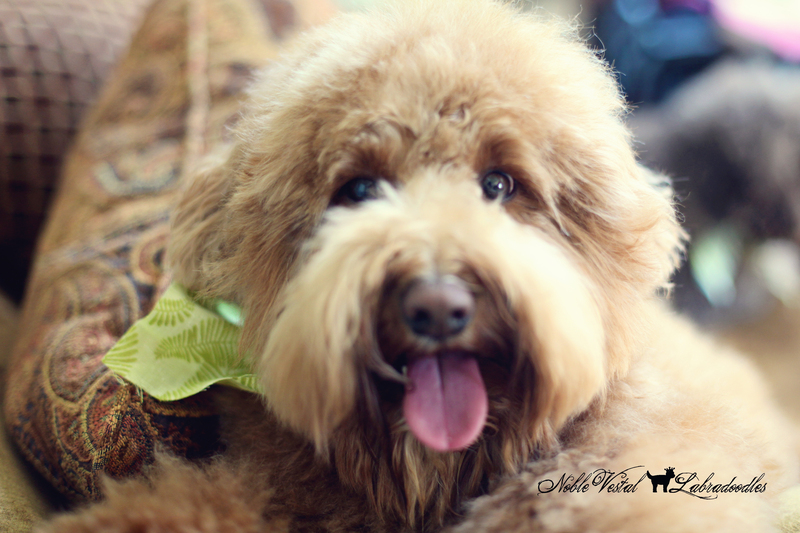 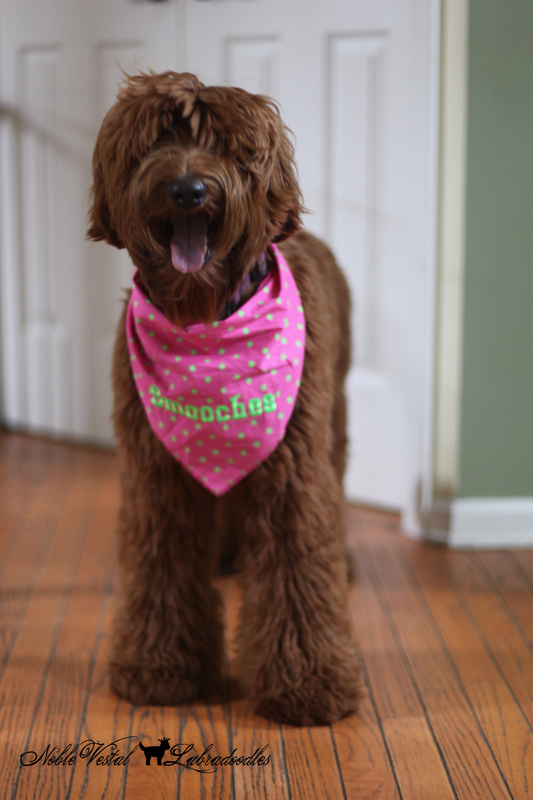 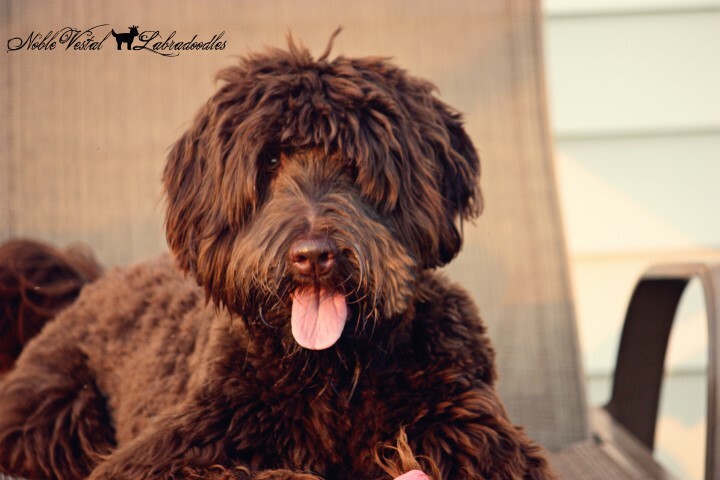 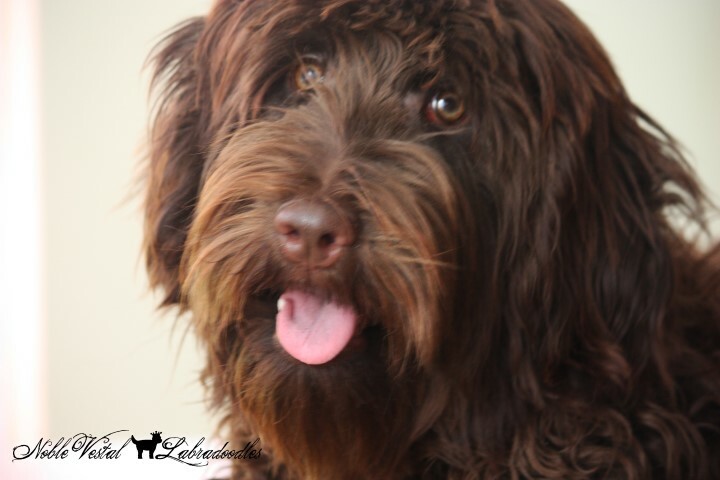 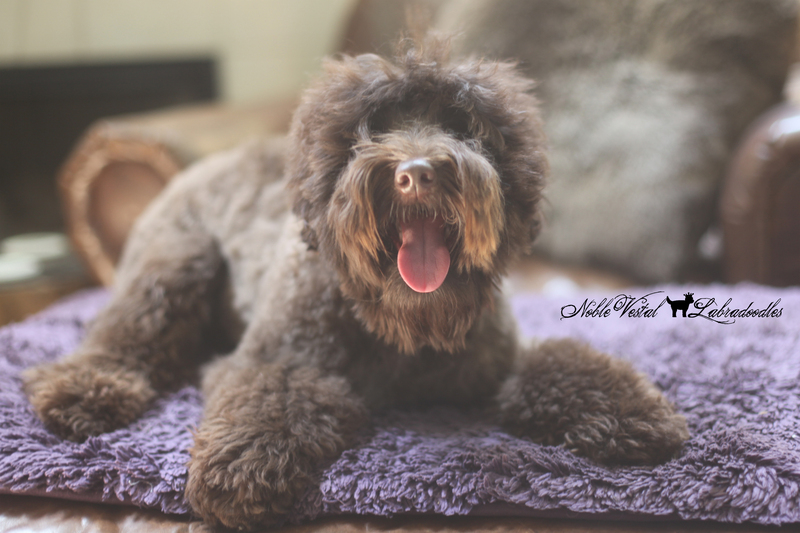 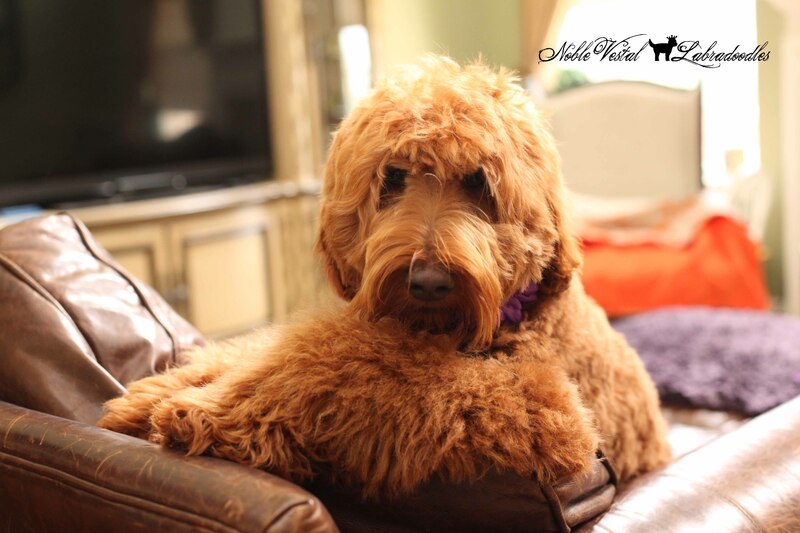 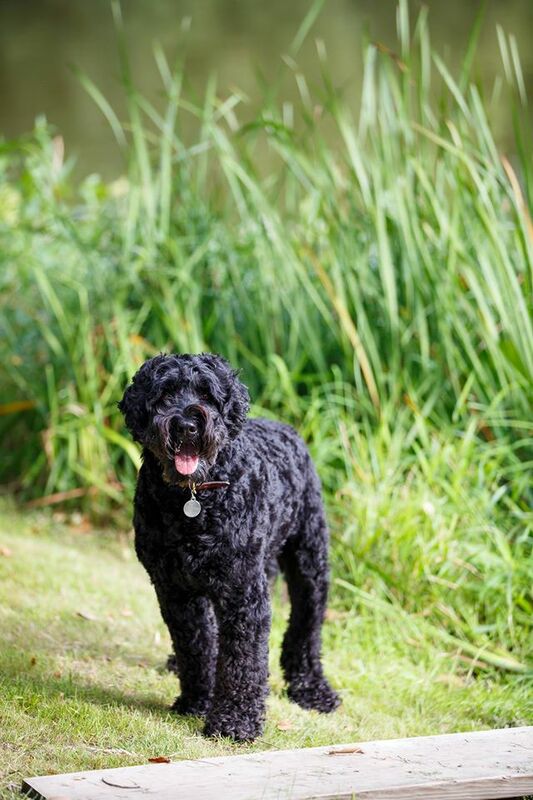 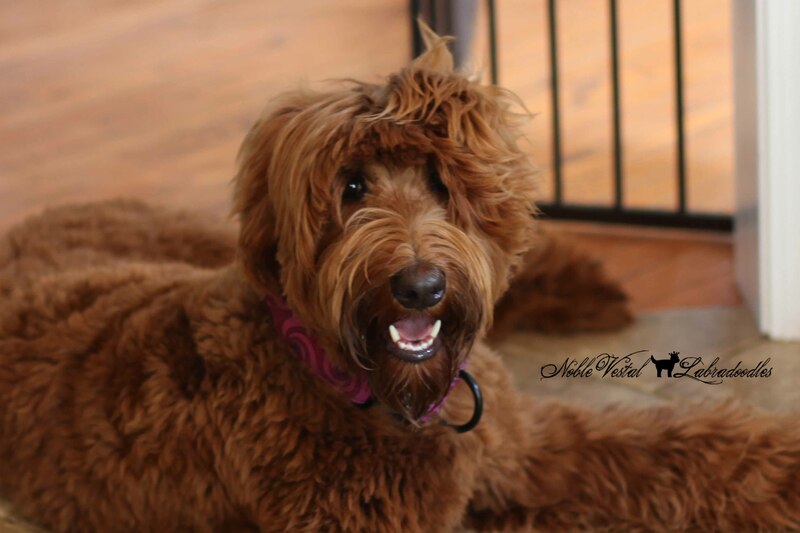 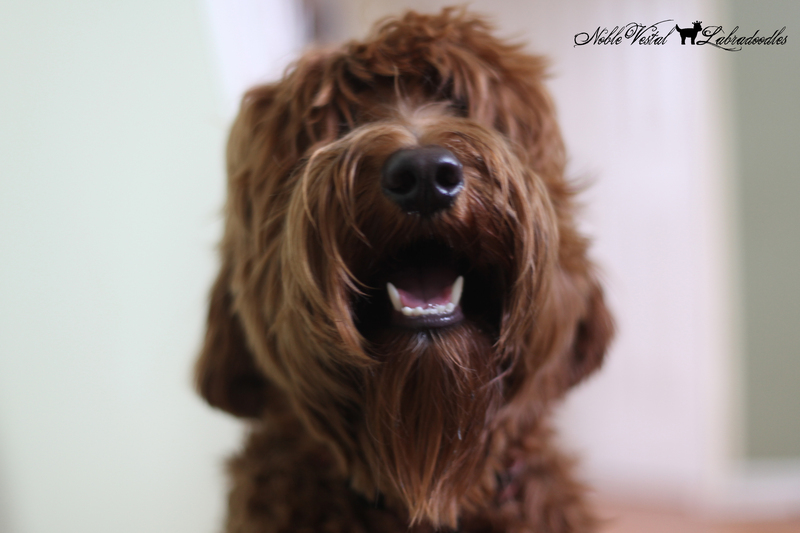 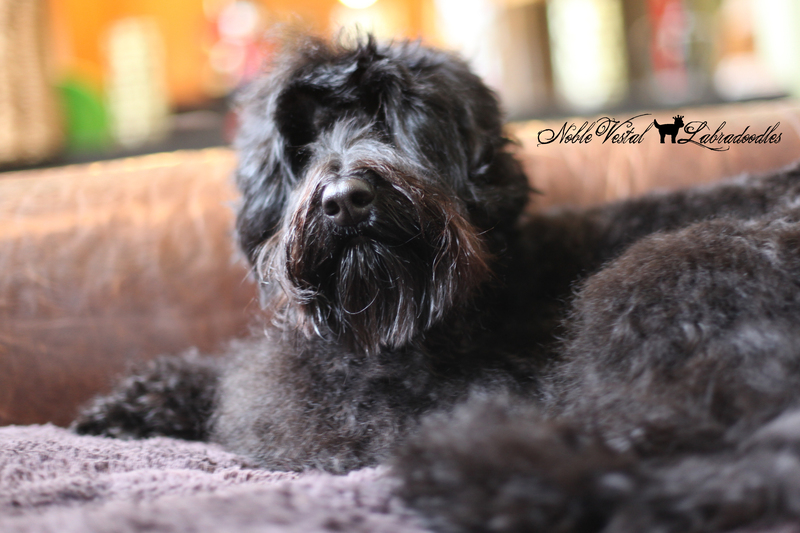 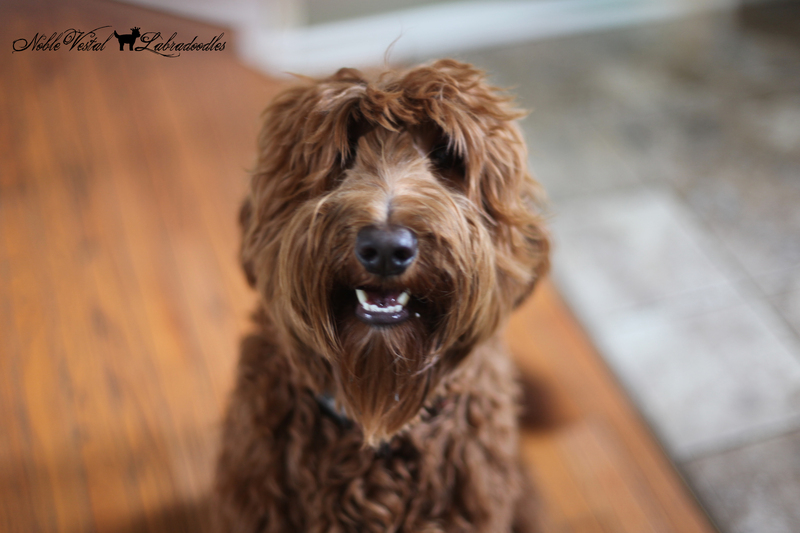 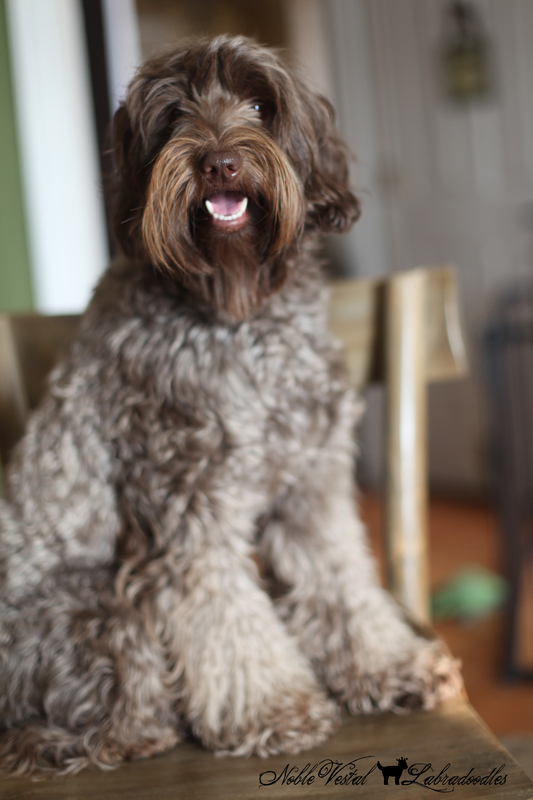 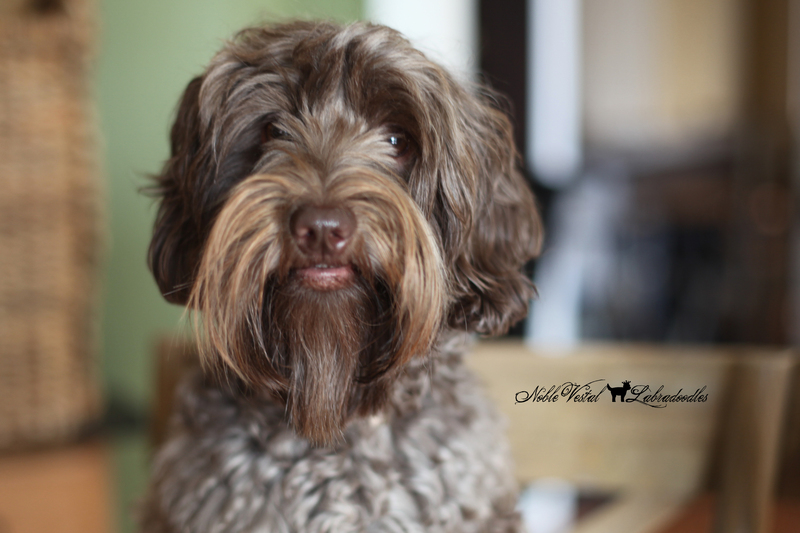 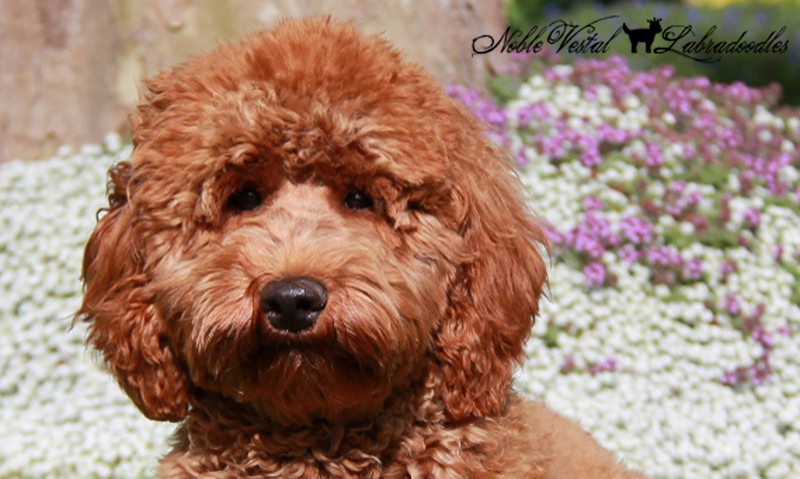 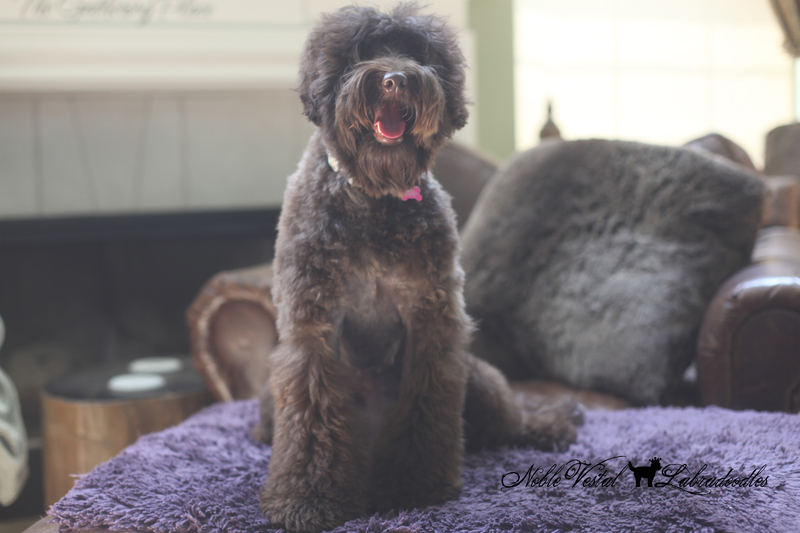 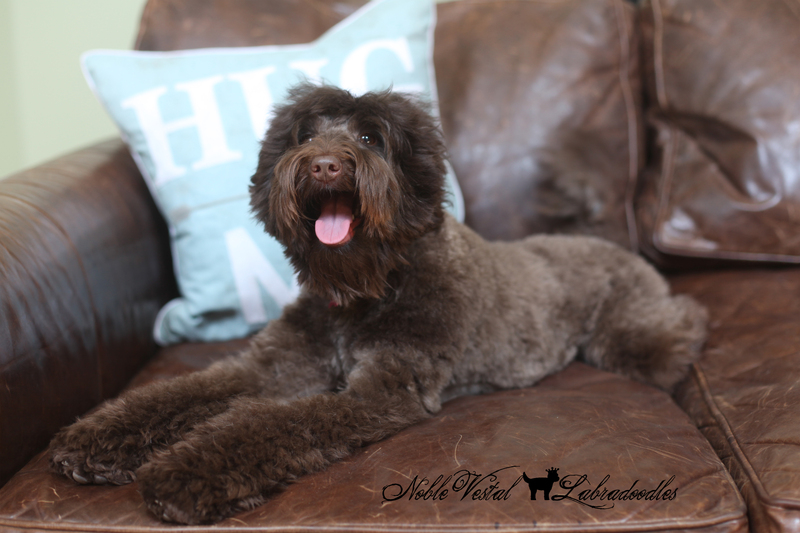 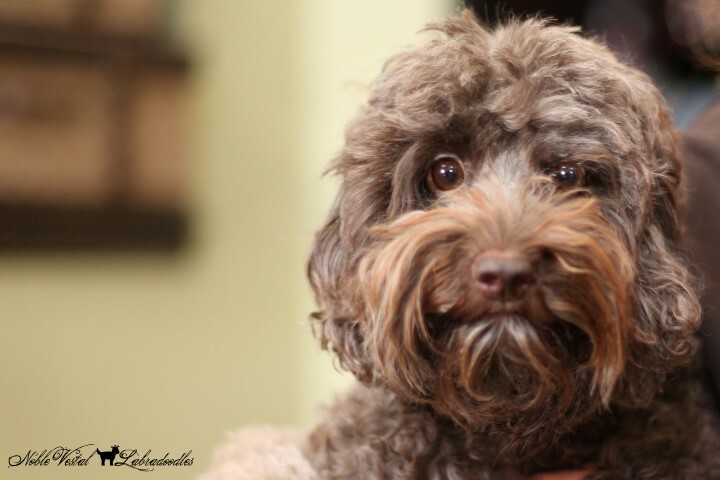 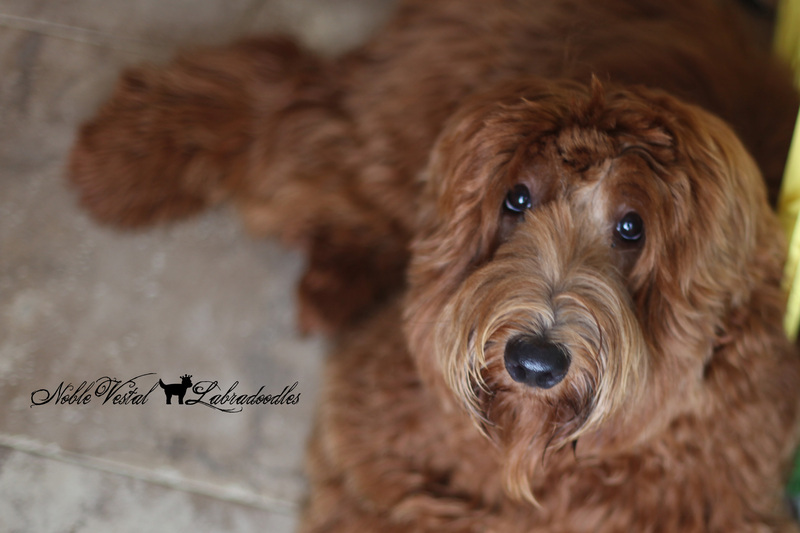 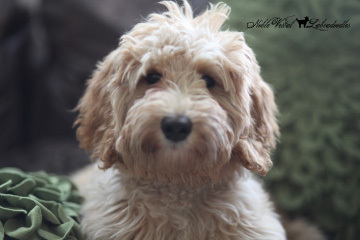 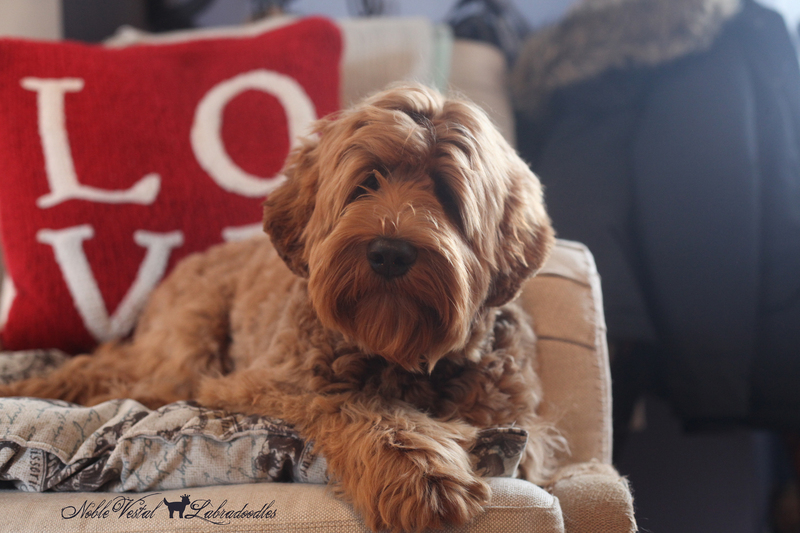 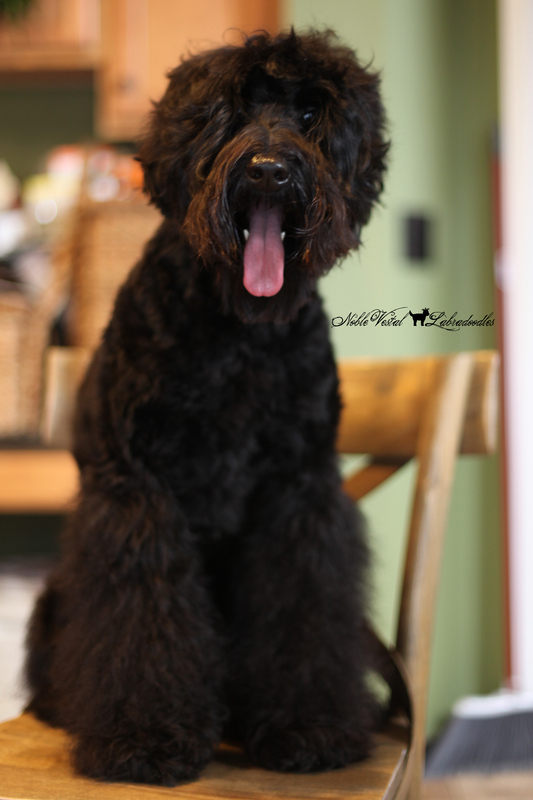 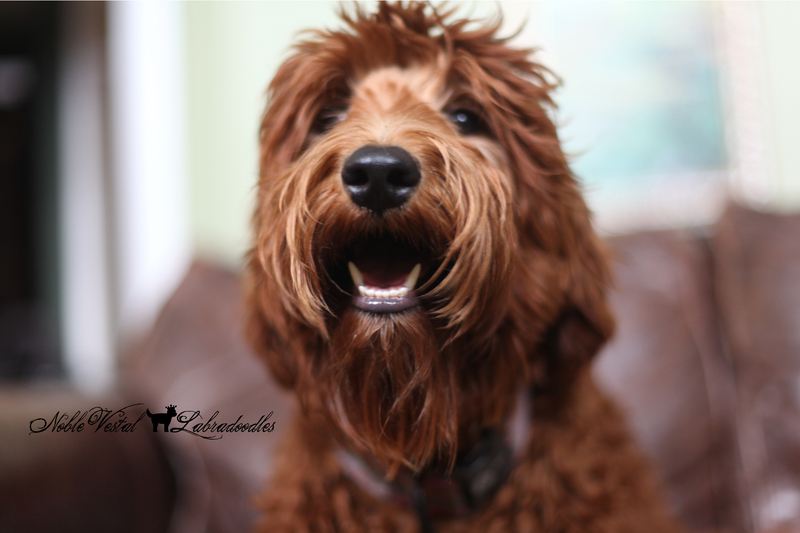 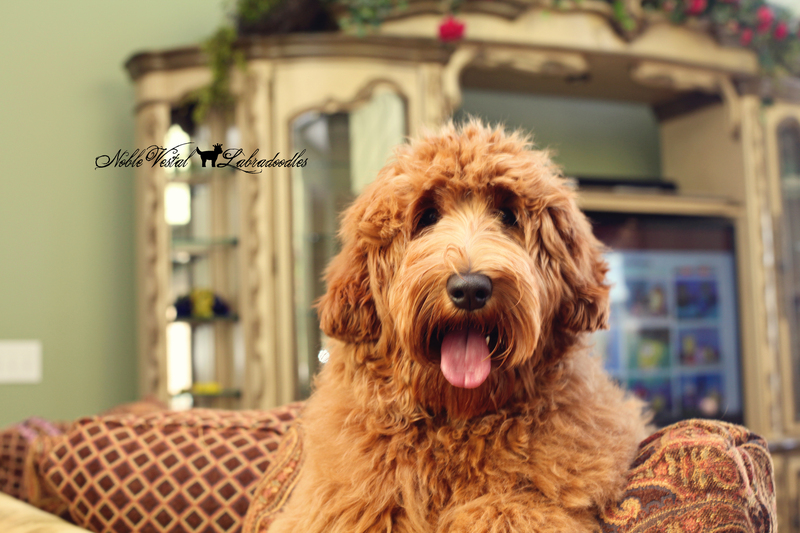 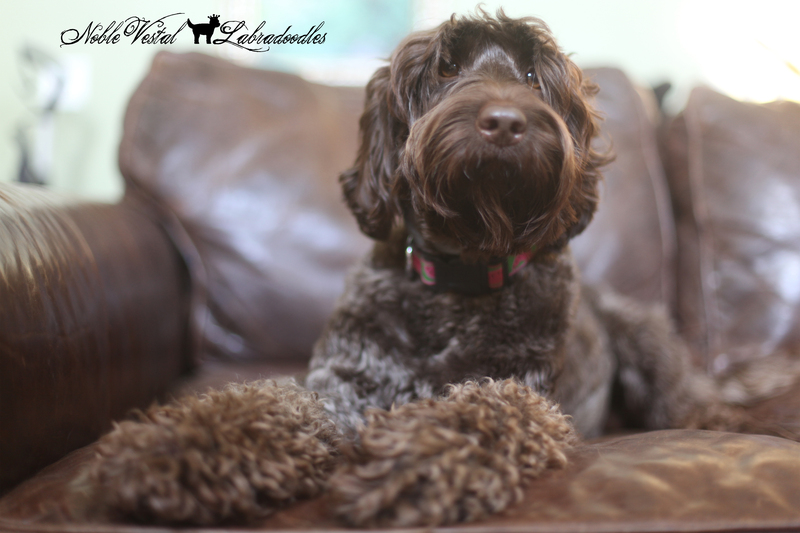 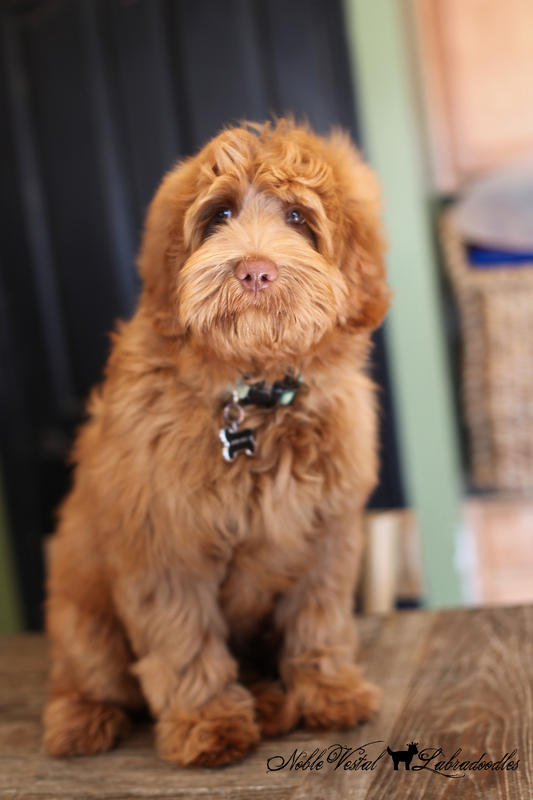 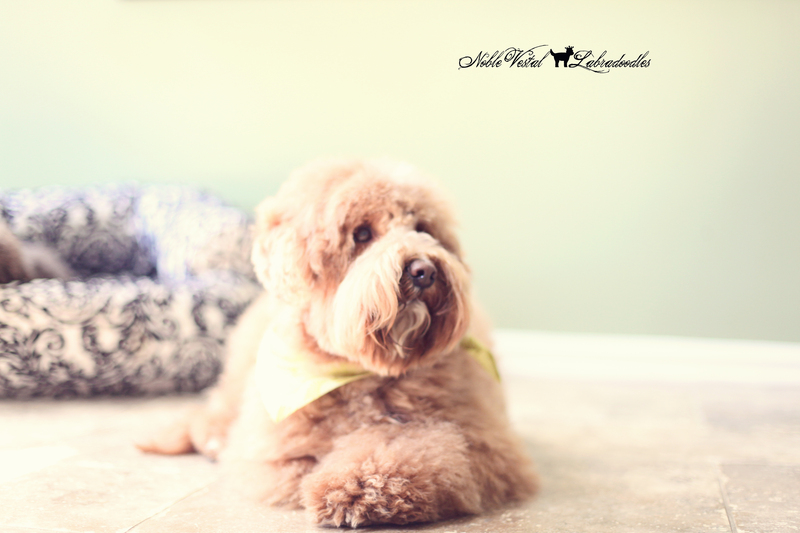 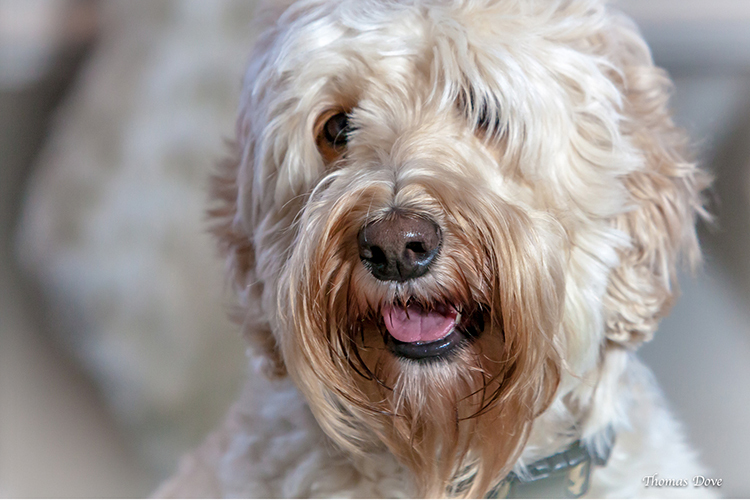 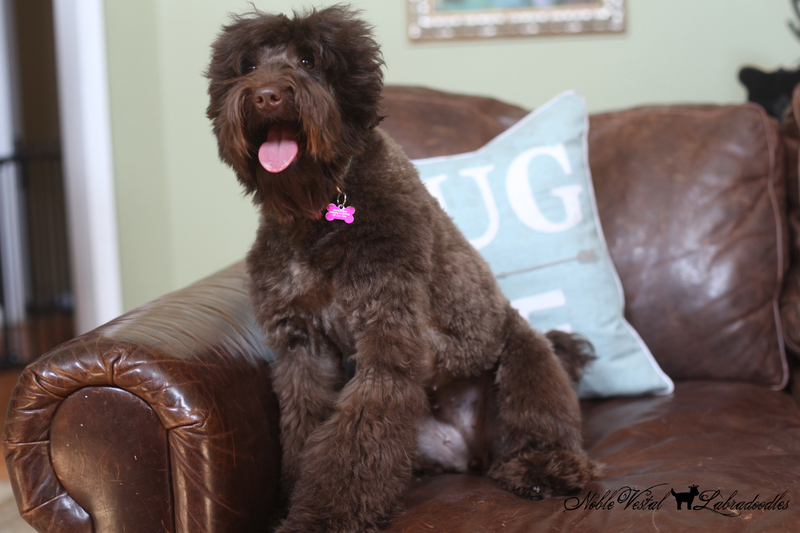 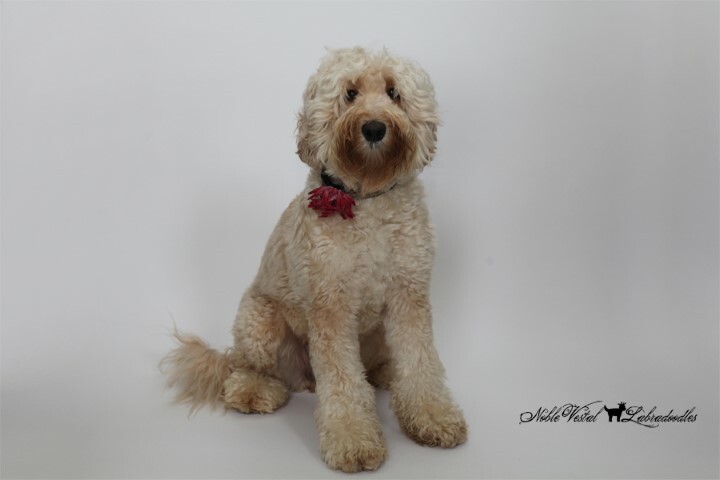 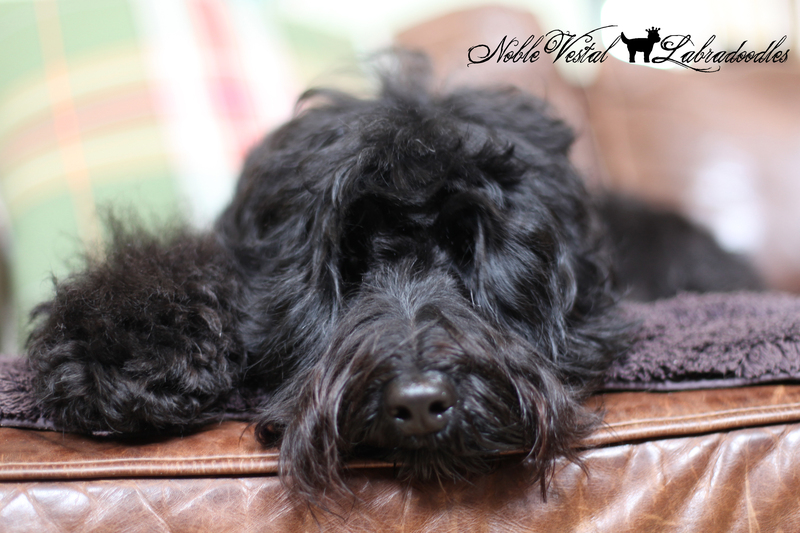 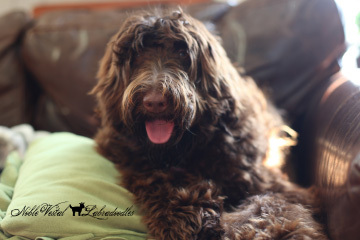 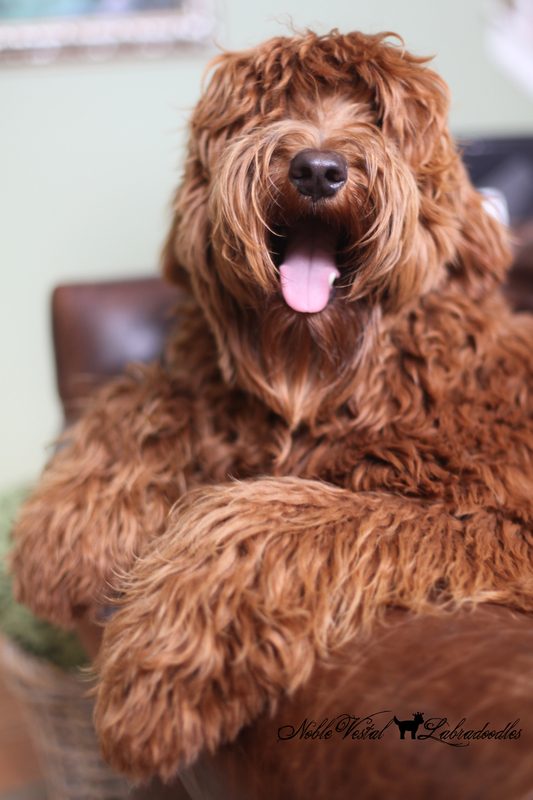 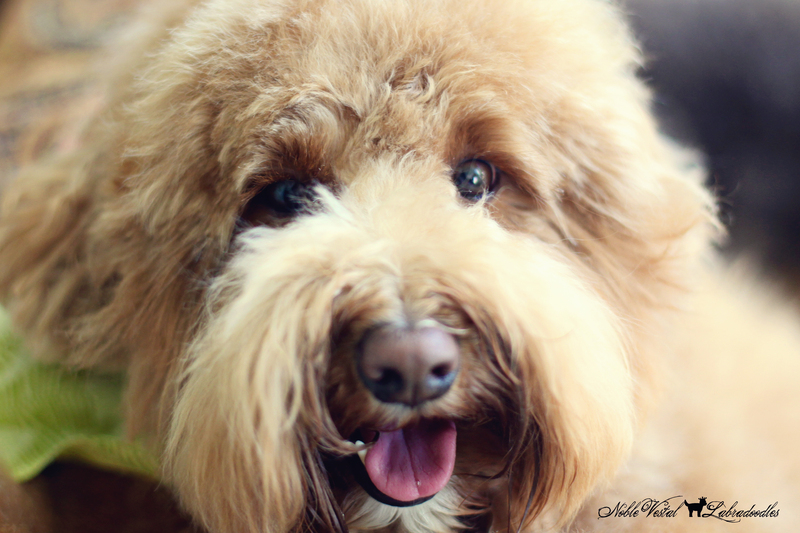 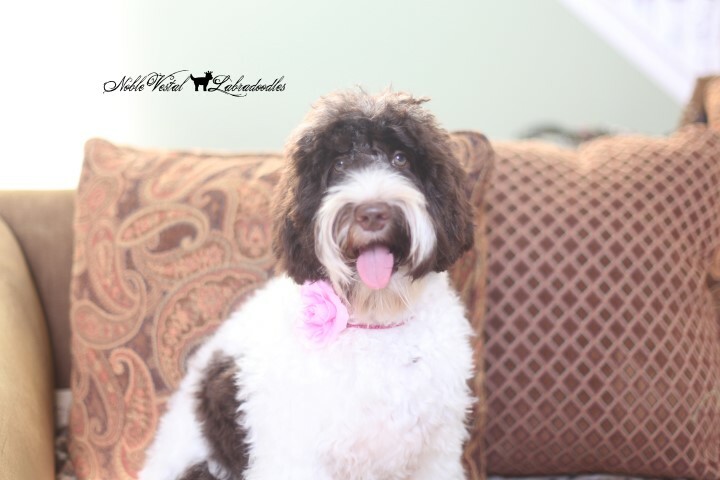 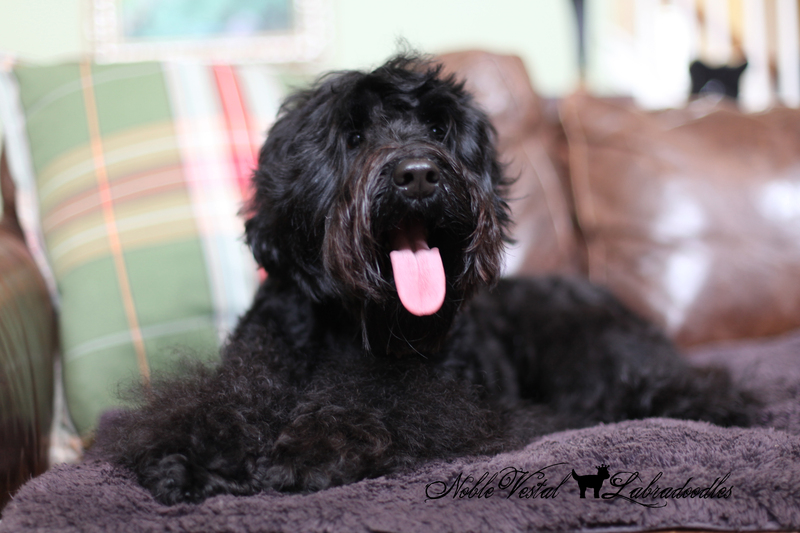 So you’re curious- is a doodle or even better is an Australian Labradoodle right for you or are you right for the Australian Labradoodle? 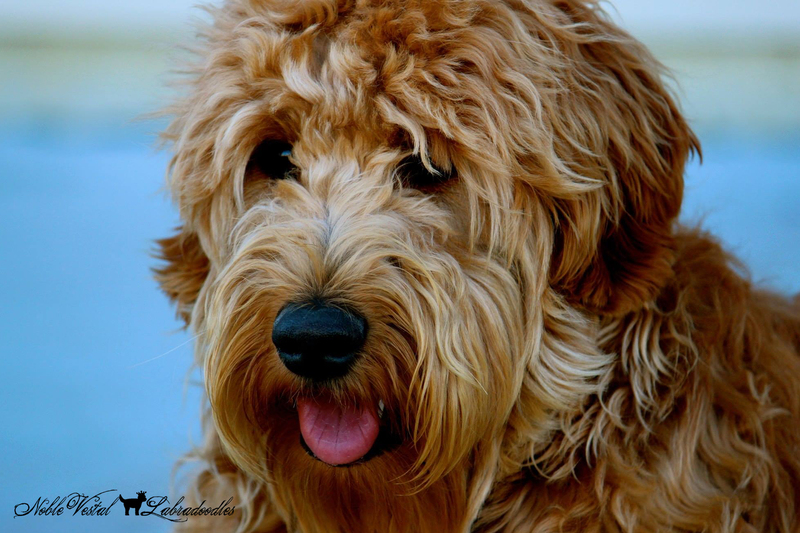 COMPANION This companion oriented breed thrives on human contact and being immersed in it’s human life. 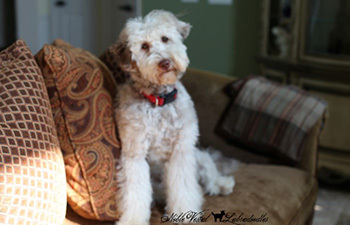 They do not do well in homes where they are left alone for long hours. 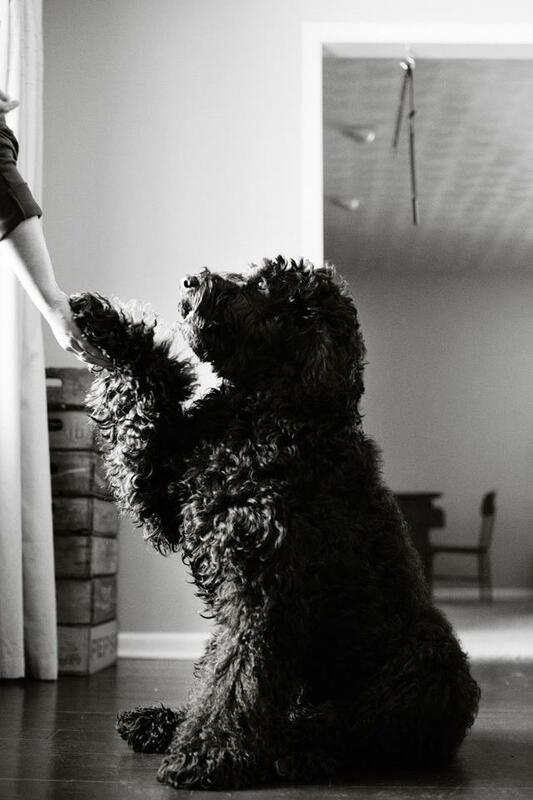 This dog wants to be with his human. 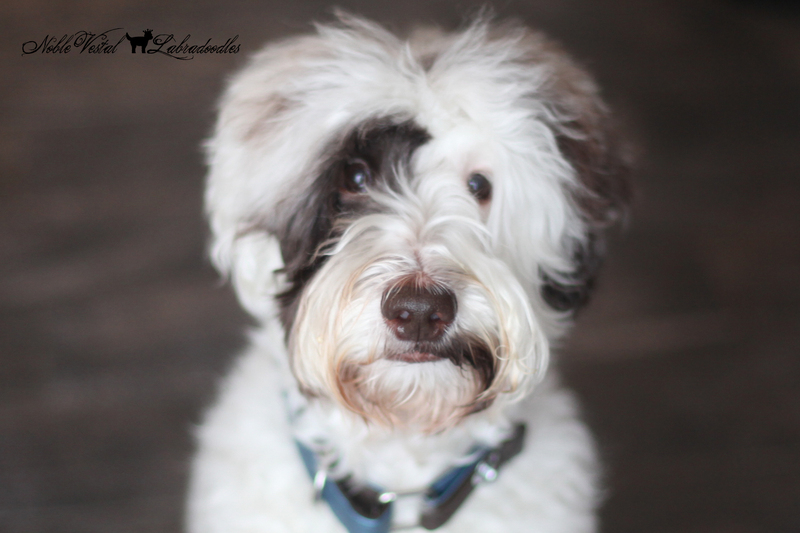 A social breed that loves to clown around. 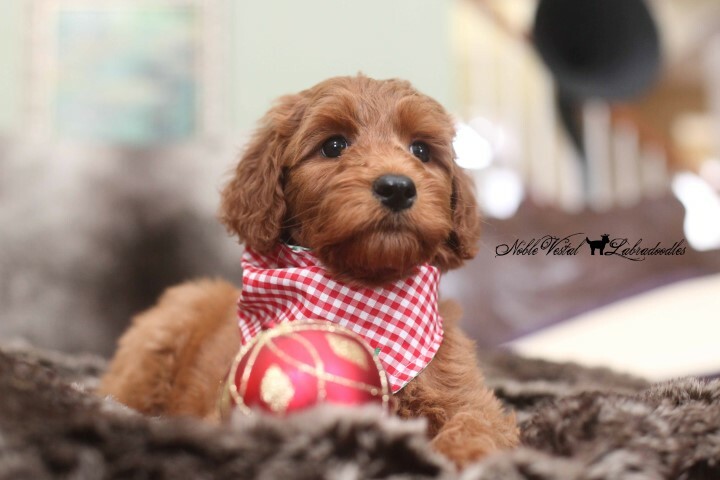 Requires socialization from an early age to become a well rounded dog. 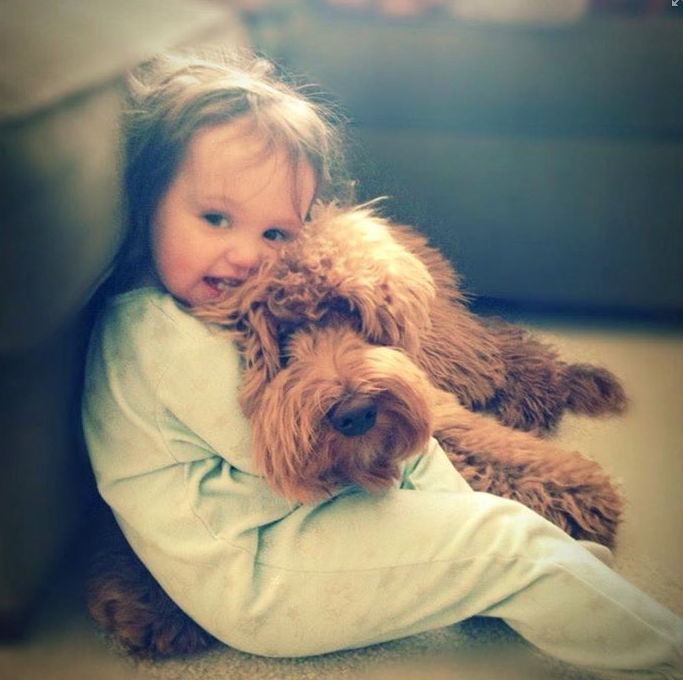 This dog loves everyone that it meet- everyone is his long lost best friend! 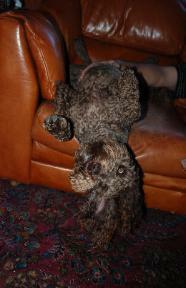 It does not do well when left home alone for long hours. 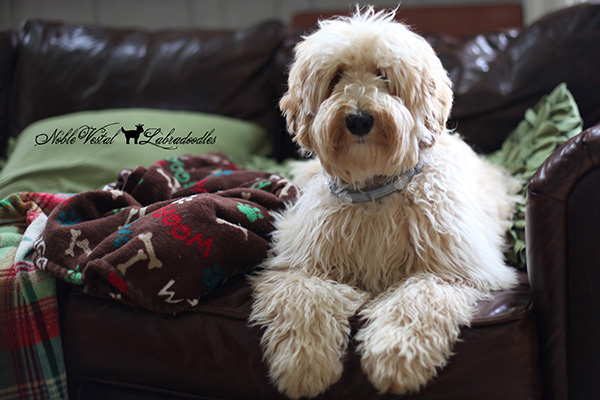 MEDIUM TO STANDARD The breed comes in three sizes although was originally developed as a medium to large breed (30-70 lbs and 18 -26 inches tall). 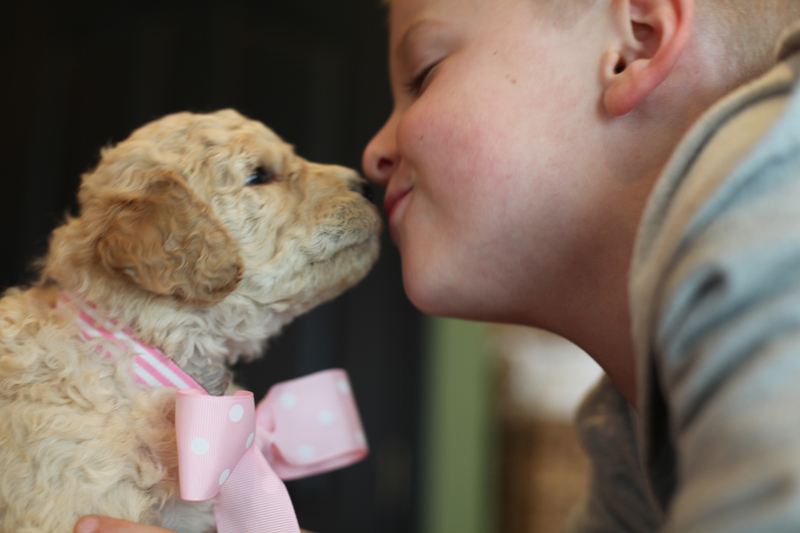 Smaller sizes are often overwhelmed by children without boundaries. 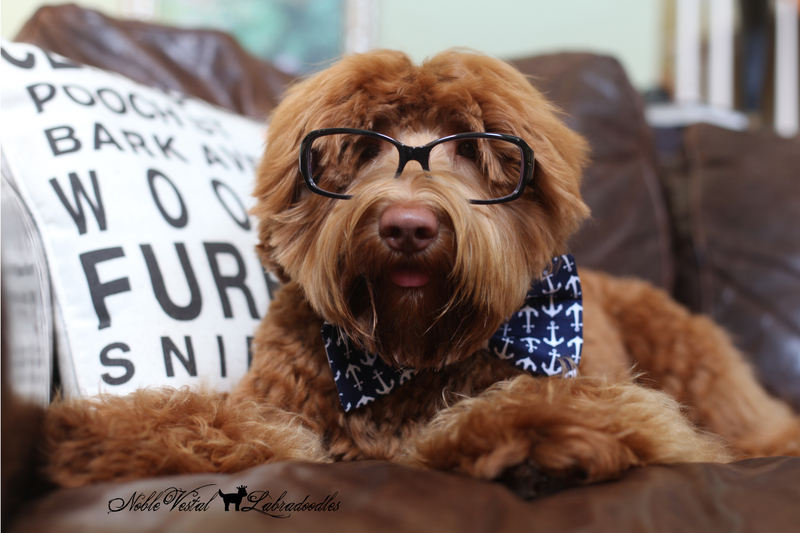 EAGER TO PLEASE Incredibly smart! 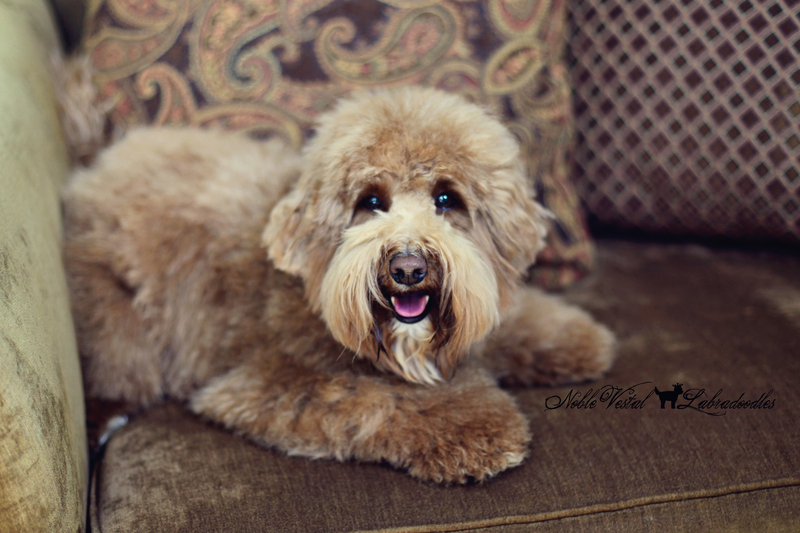 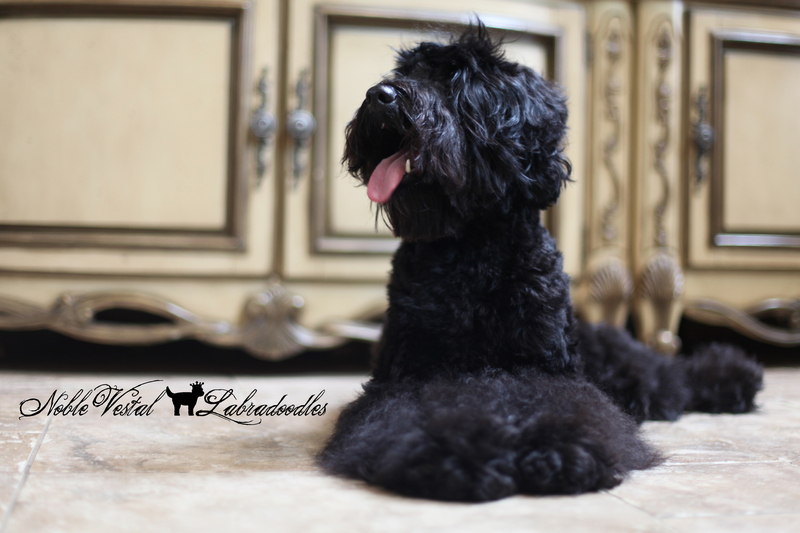 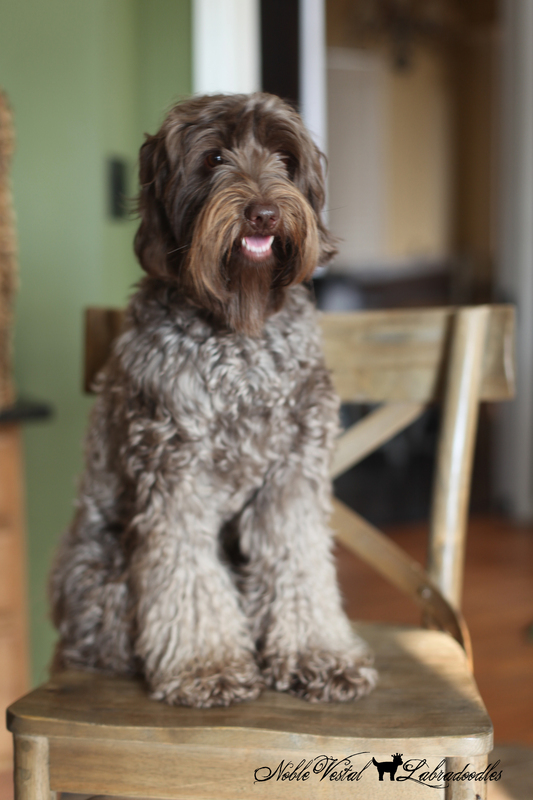 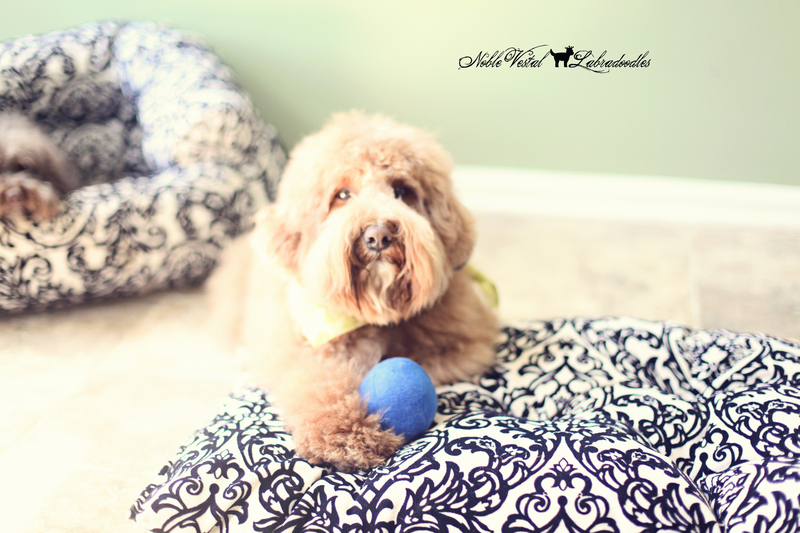 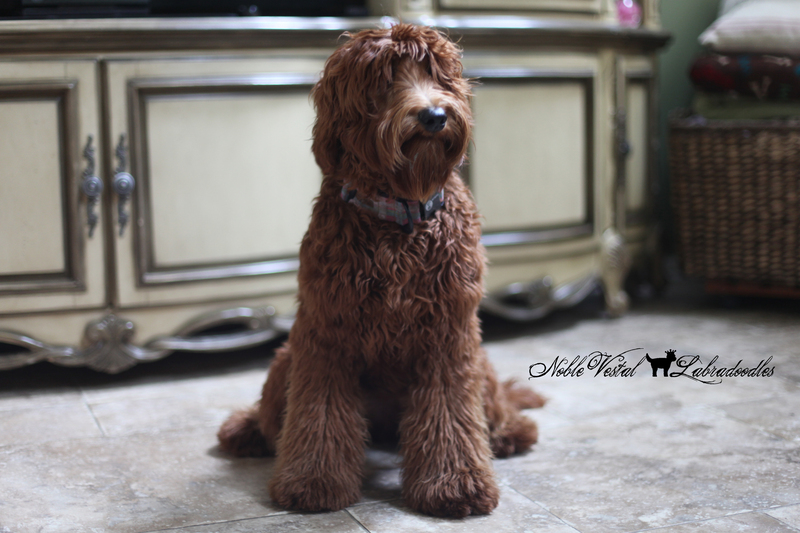 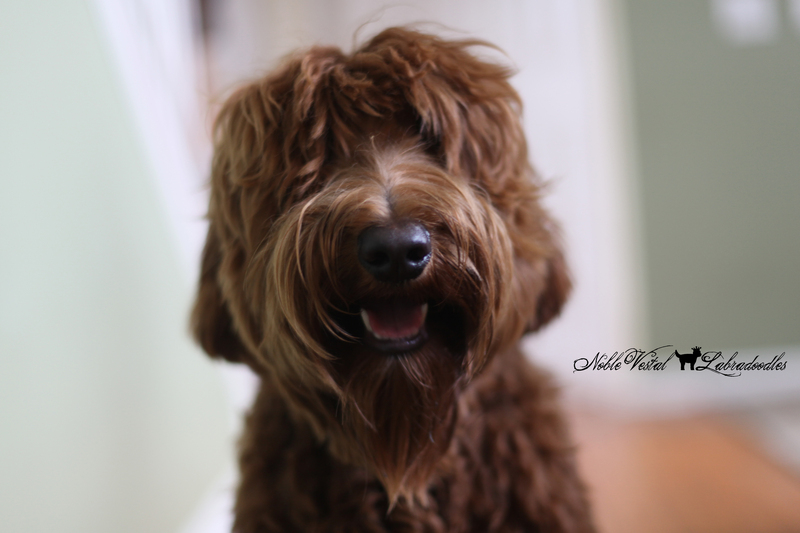 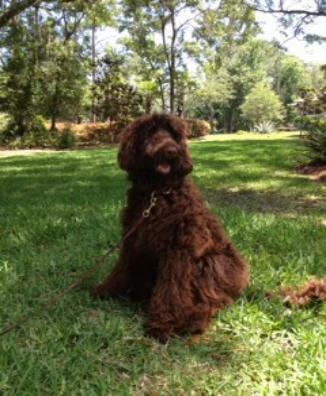 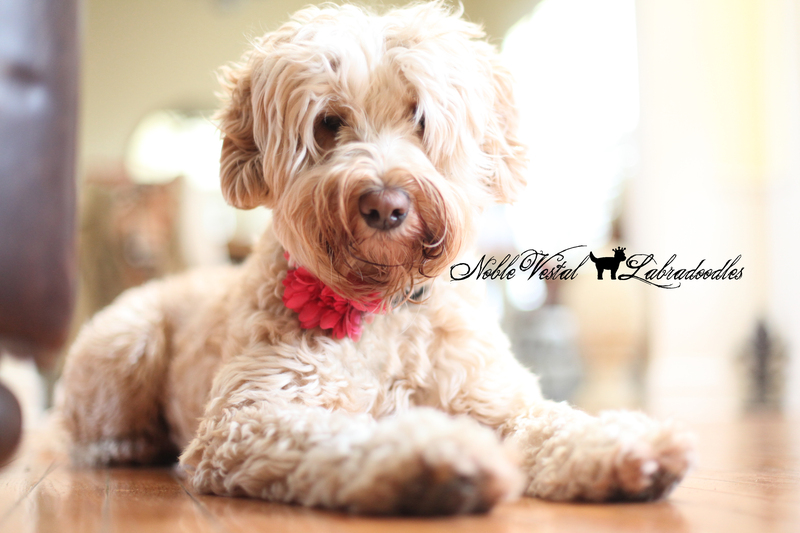 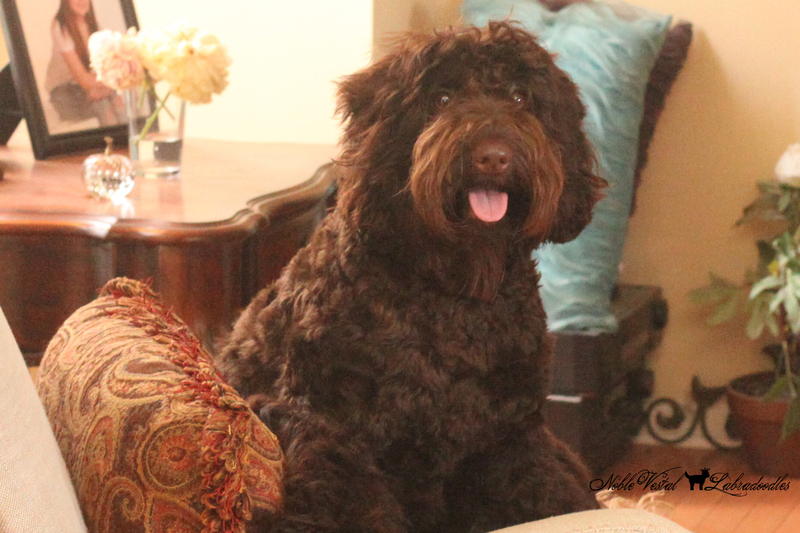 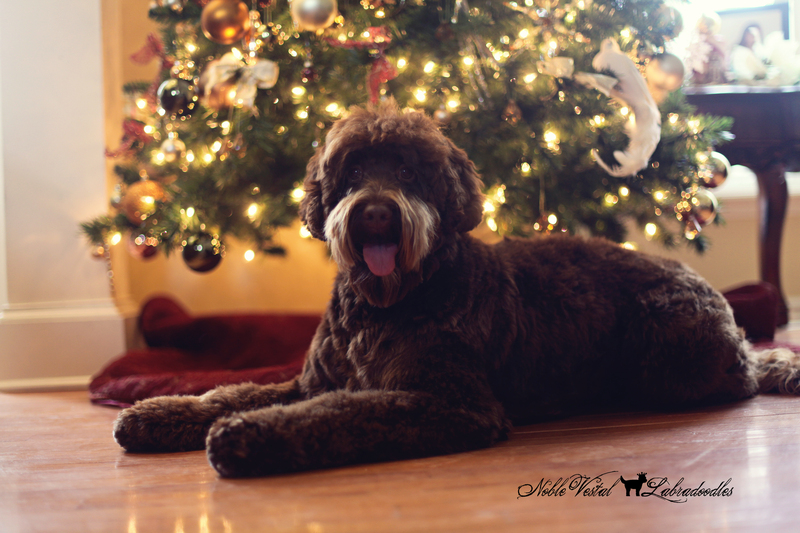 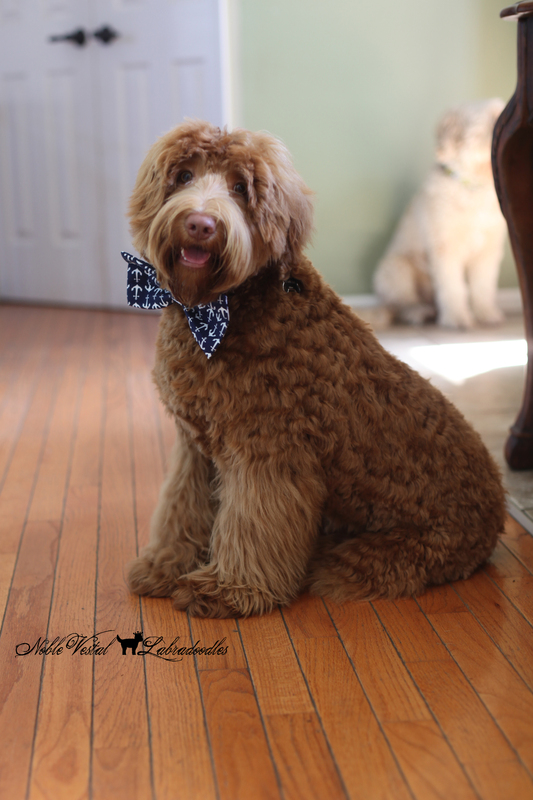 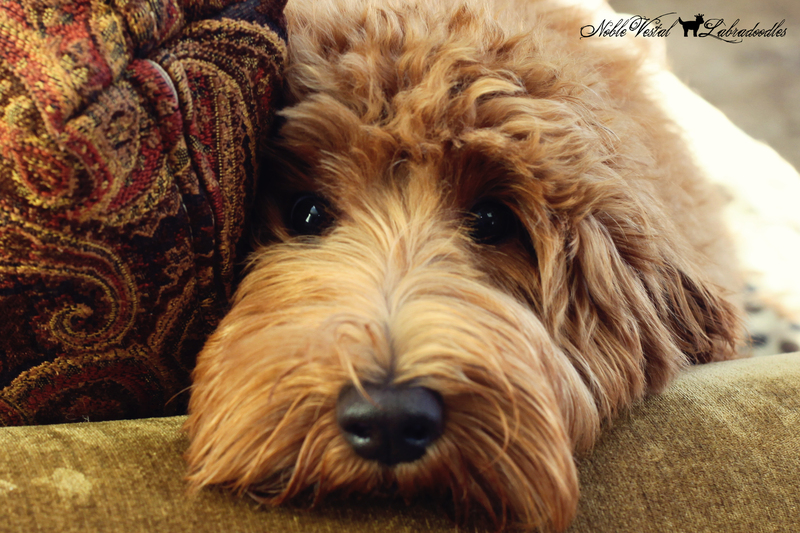 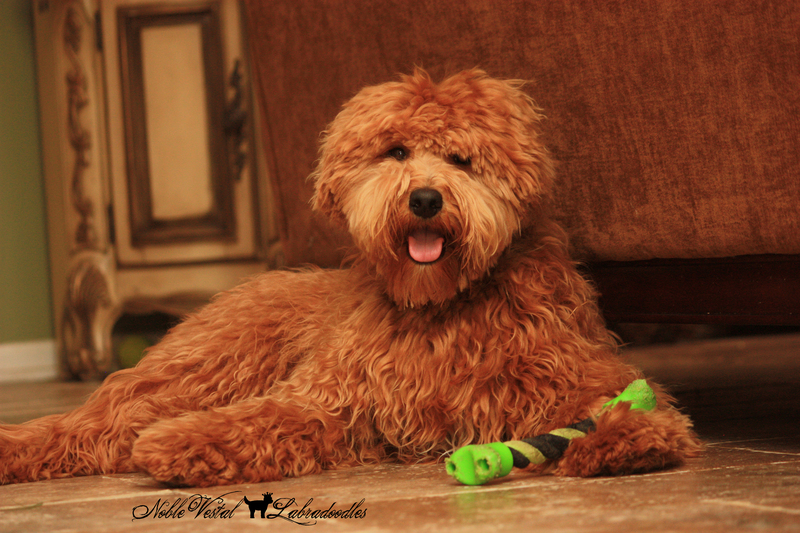 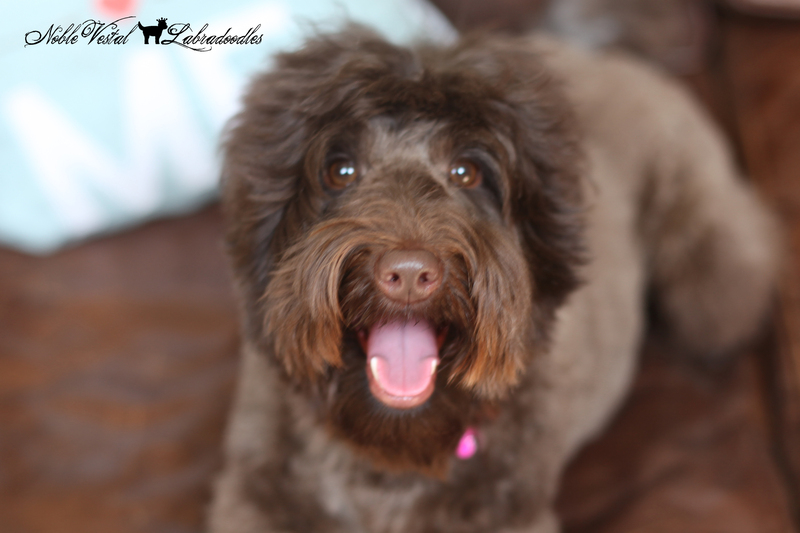 The Australian Labradoodle is eager to please and easily taught new behaviors and skills. 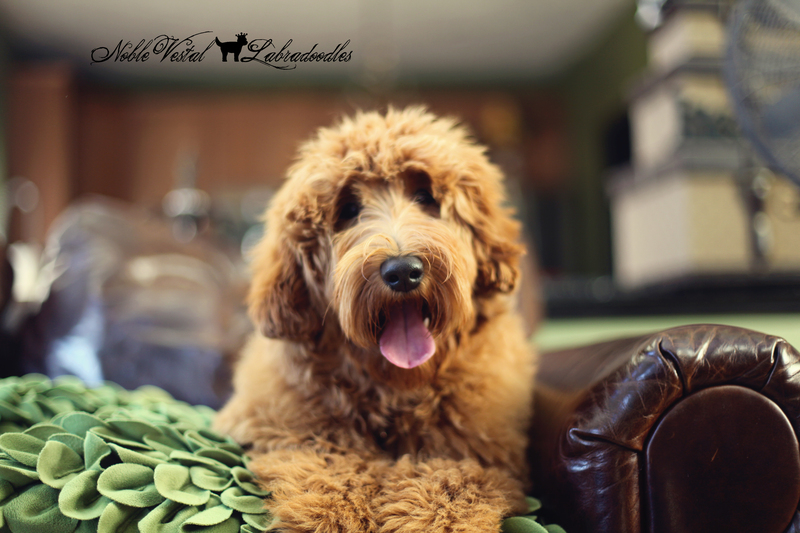 Families who have little time or interest in training their dog will soon find out that while the dog learns behaviors quickly that this includes bad behaviors. 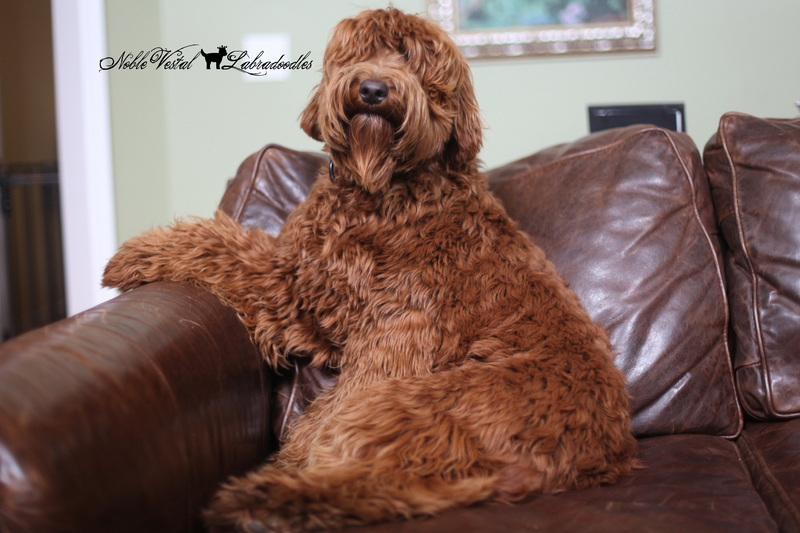 Attending obedience classes from day one with your puppy is essential, this dog is part kangaroo and no one likes to be jumped on. 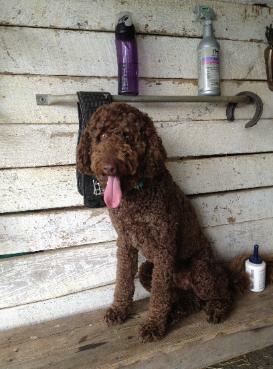 Come Come Come will be your most used phrase if you don’t train your Australian Labradoodle. 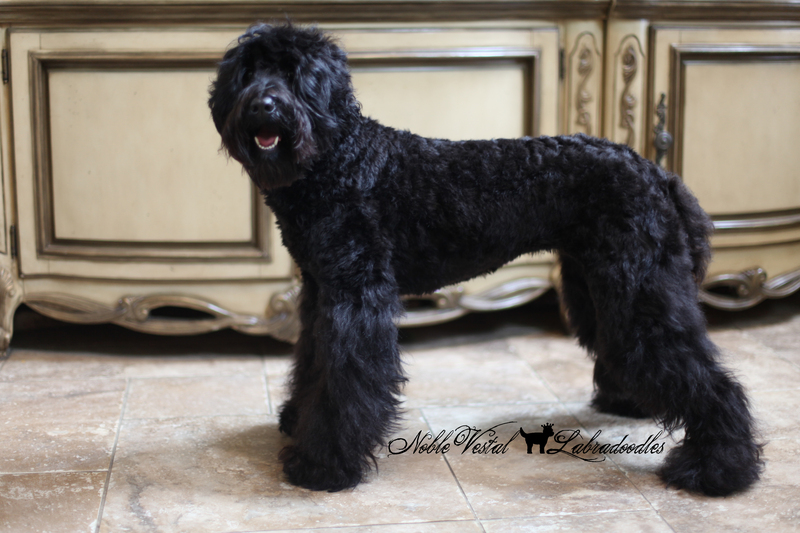 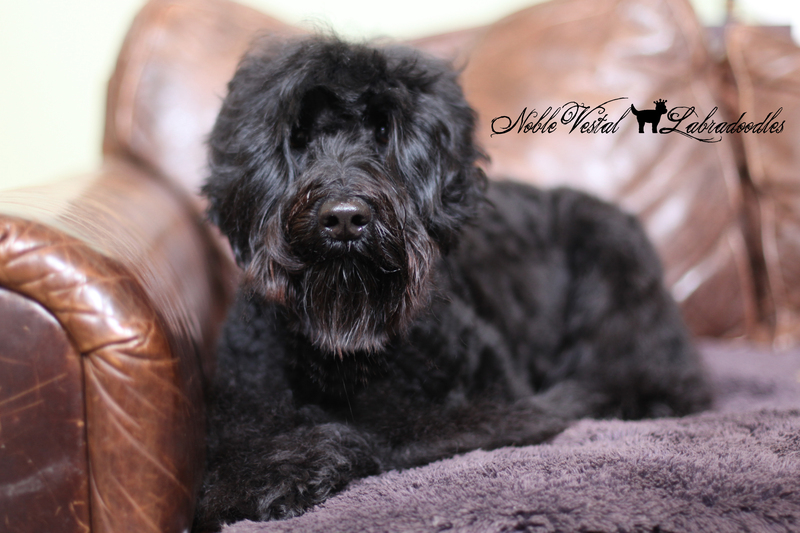 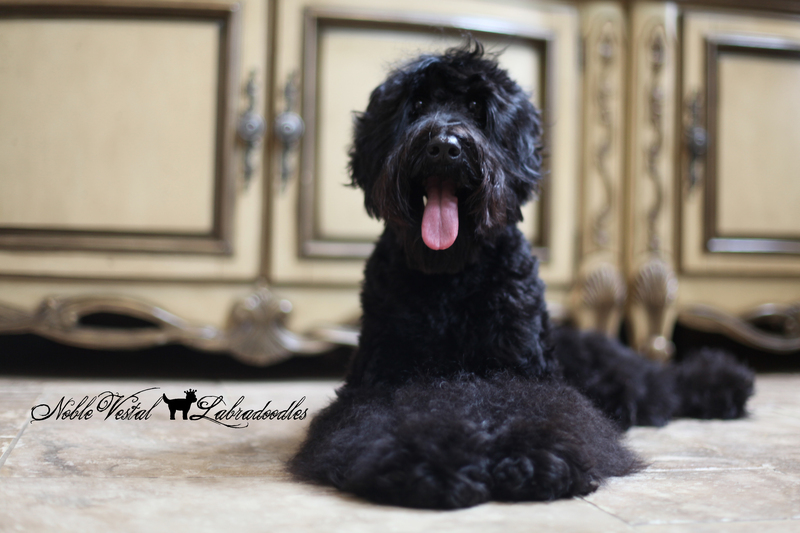 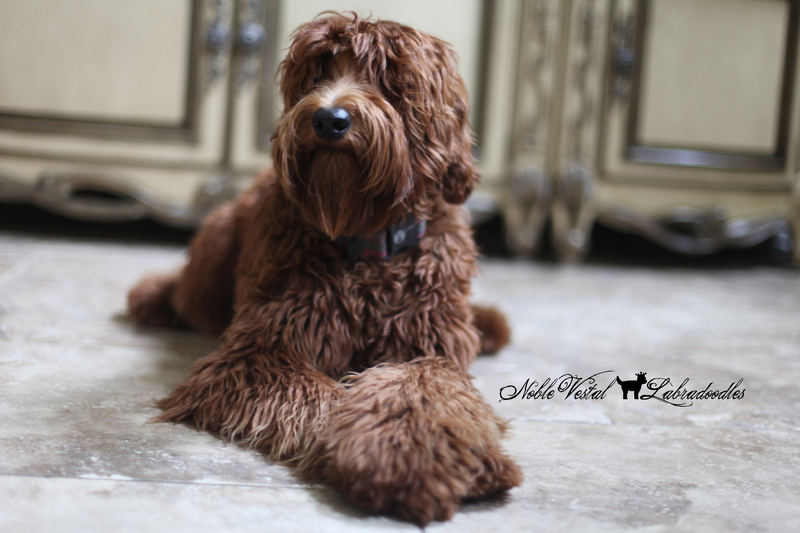 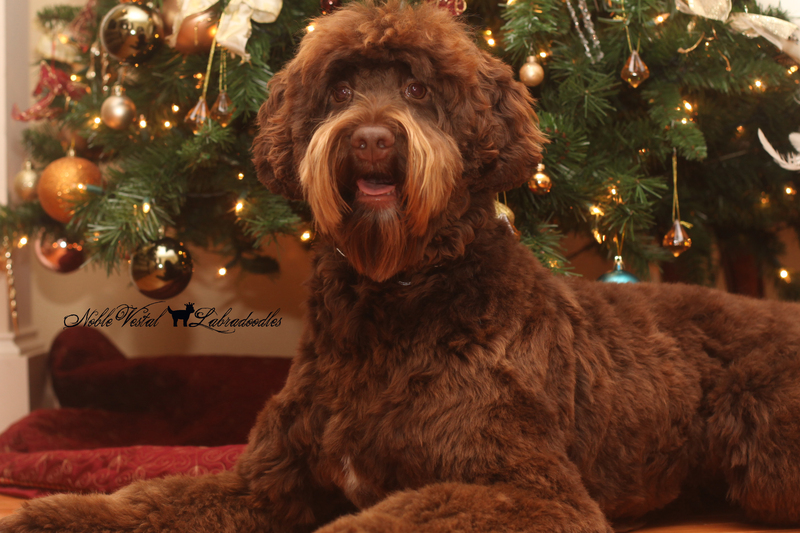 LONG COAT The Australian Labradoodle sports a coat is like hair that grows continually and ranges from slightly wavy to very curly and occasionally a hair coat that will shed although there are less and less hair coats being produced. 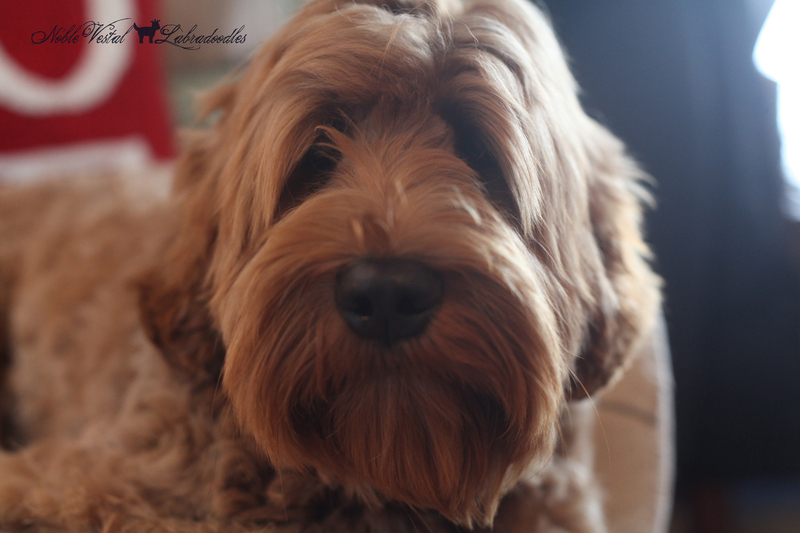 The hair coat is great for families who don’t want to deal with the fuss of the high maintenance grooming that comes with the fleece and wool coats. 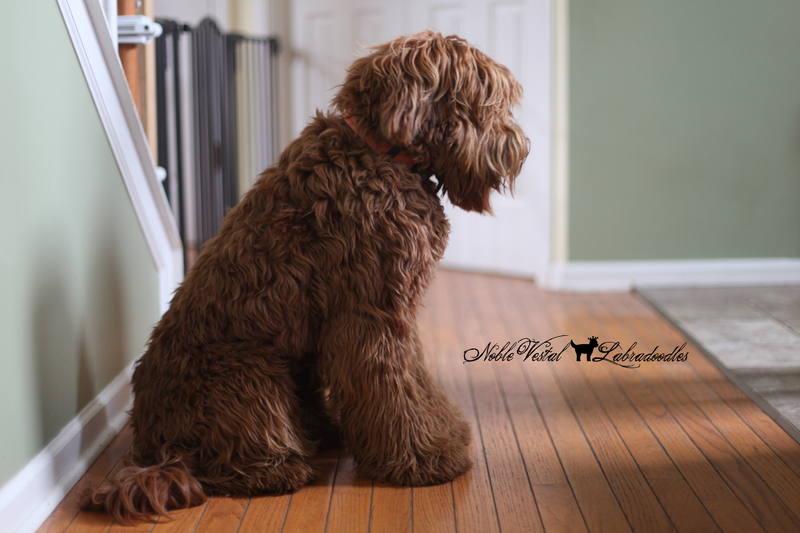 DAILY GROOMING Because of the coat this breed is high maintenance! 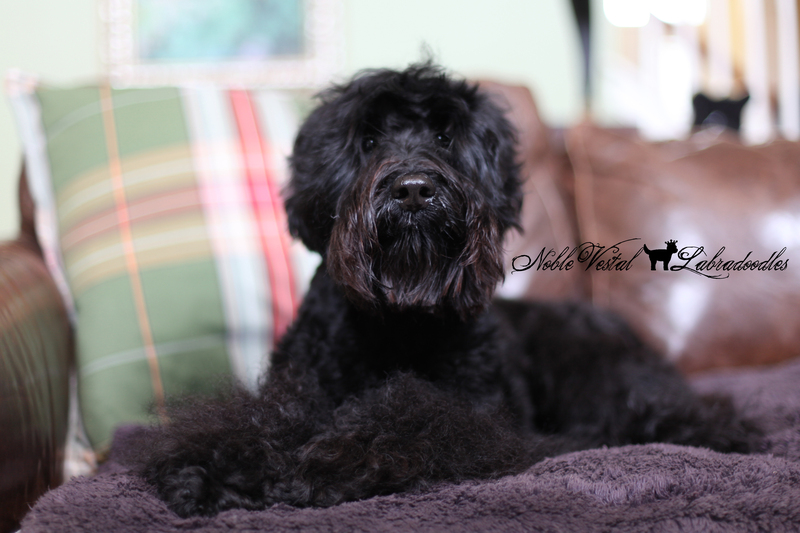 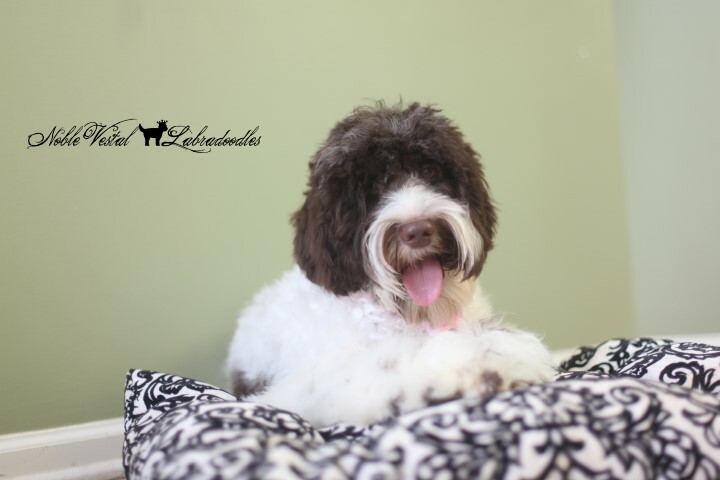 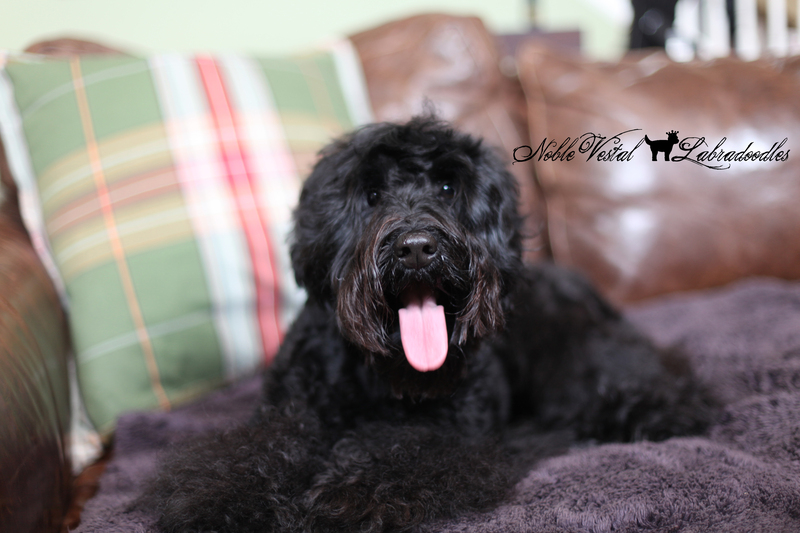 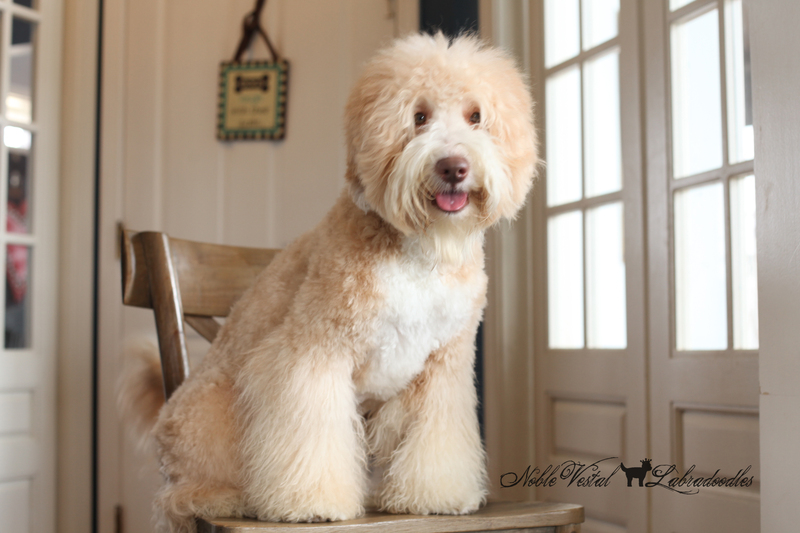 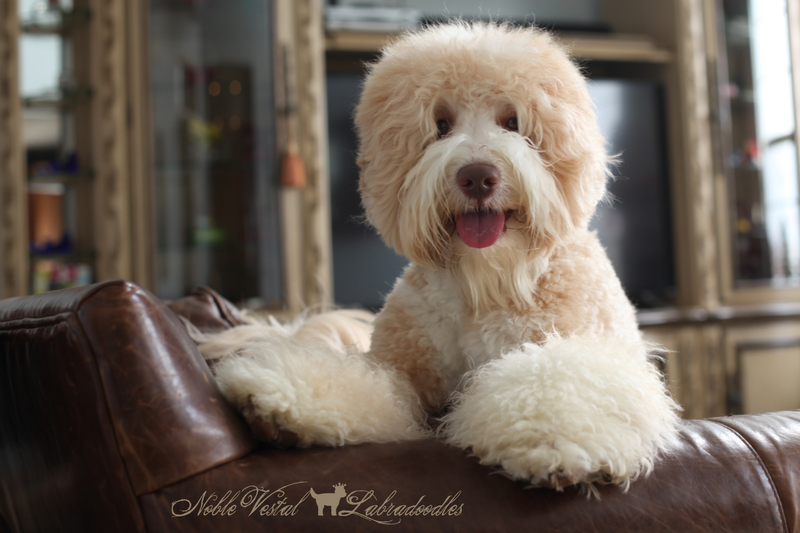 Requiring to be combed daily, a professional bath and blowout once monthly and a haircut once ever three to four months. 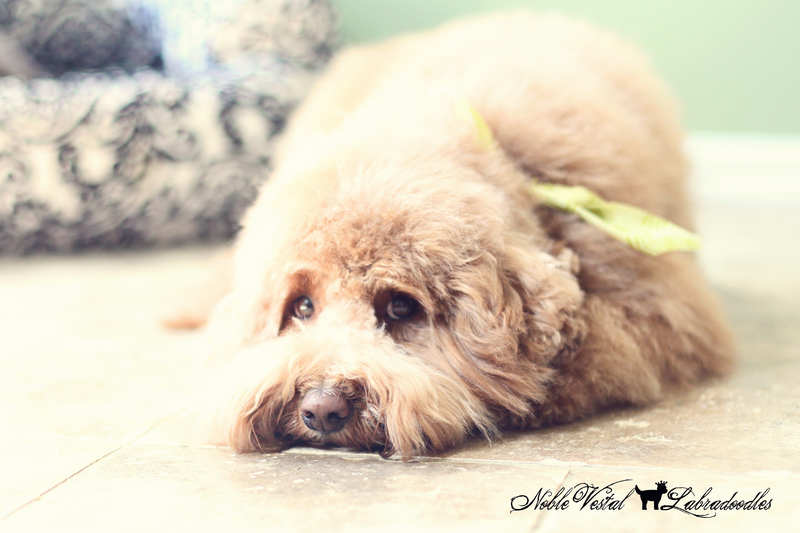 Requiring frequent grooming can become expensive. 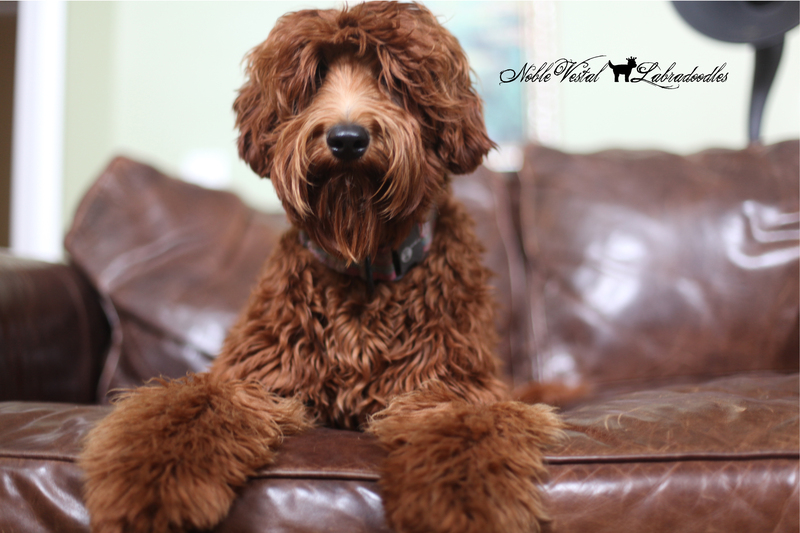 This is not a great breed choice for someone with a limited budget or who isn’t going to put in the effort to comb at home in-between professional grooming sessions. 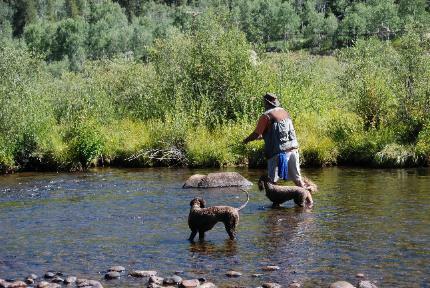 MODERATE TO VERY ACTIVE The breed does well with a family who plans to be active with their dog. 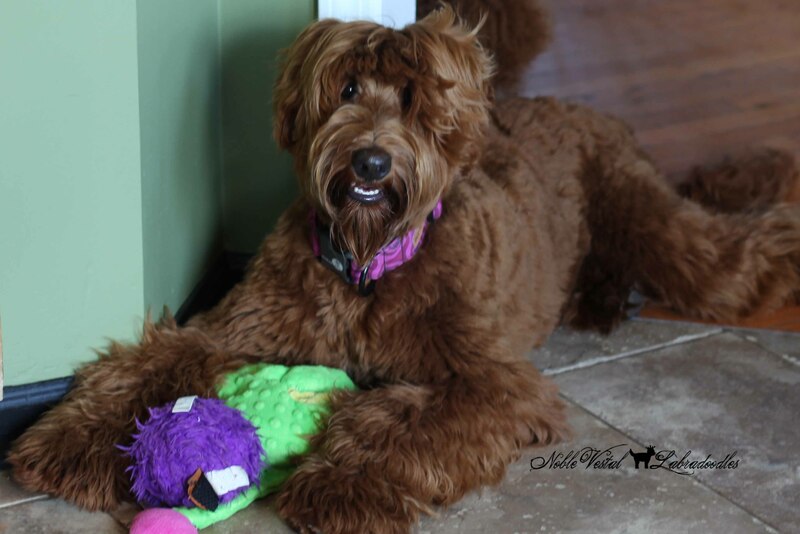 A daily walk and playing games will keep this dog happy. 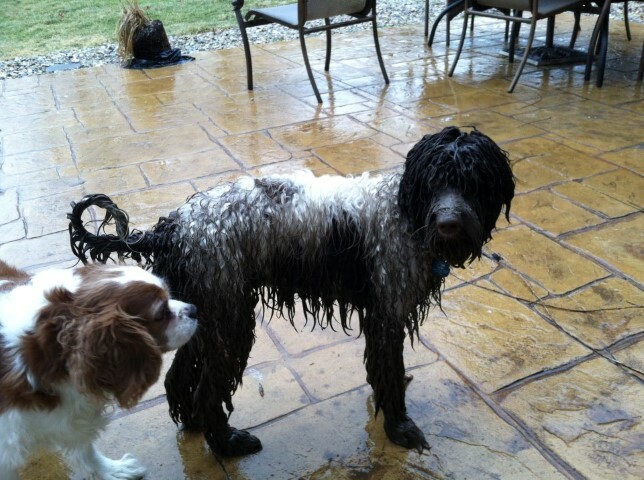 Being stuck in the back yard is a recipe for disaster. 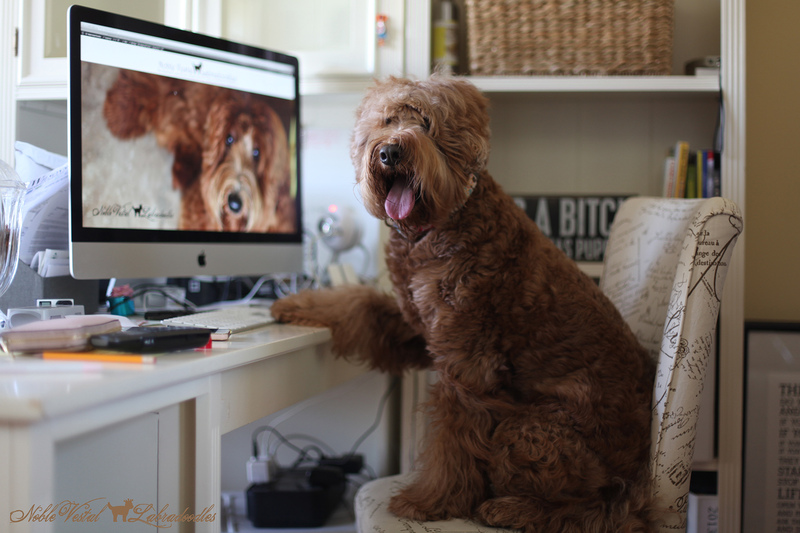 This dog will find a way to entertain himself. 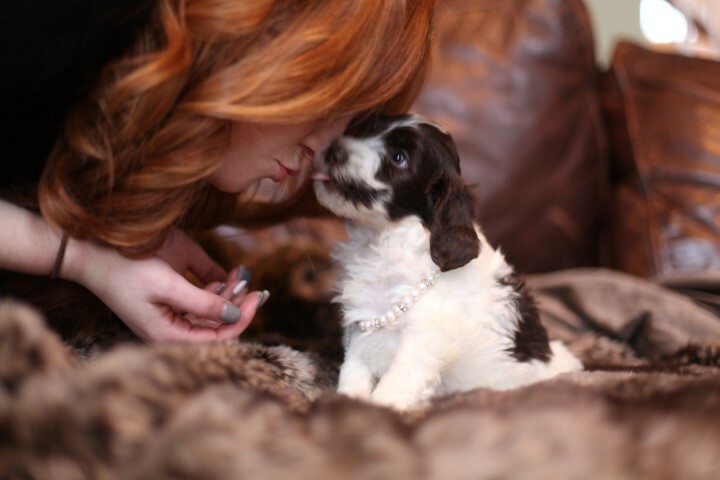 If it isn’t digging up your daisies it will be barking at sky. 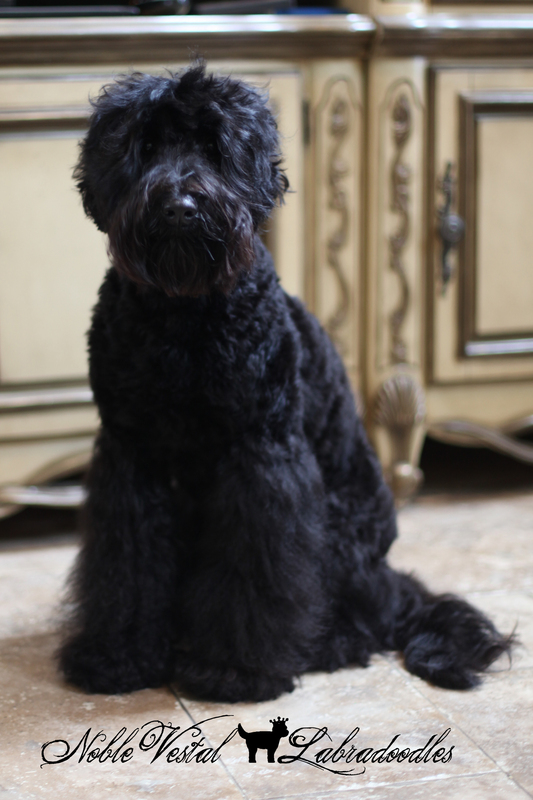 BARKS WHEN NECESSARY This dog is no attack dog! 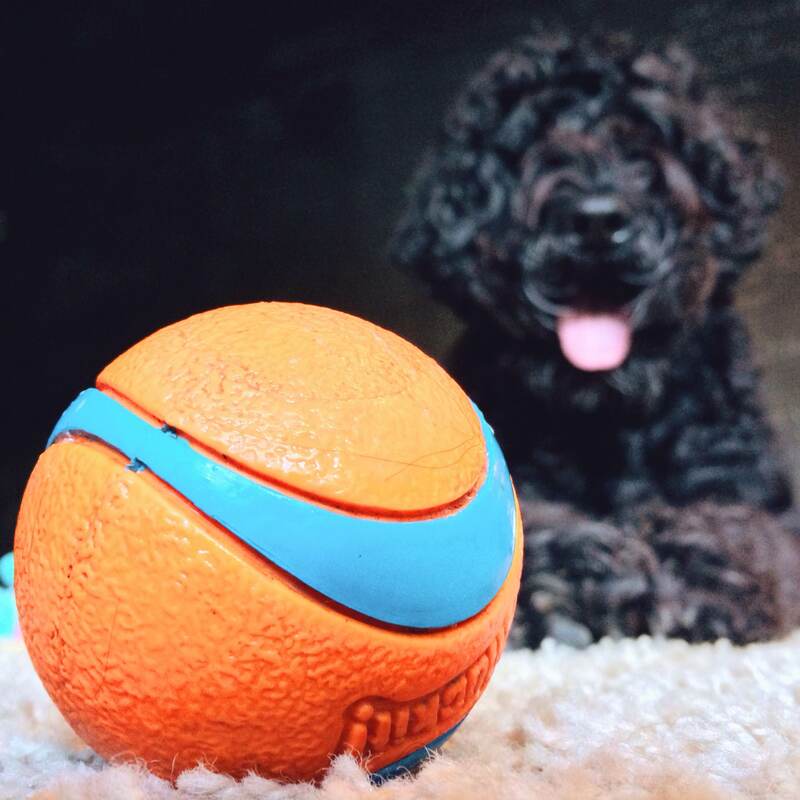 It will not protect your family or your home but it can sound big when they want to. 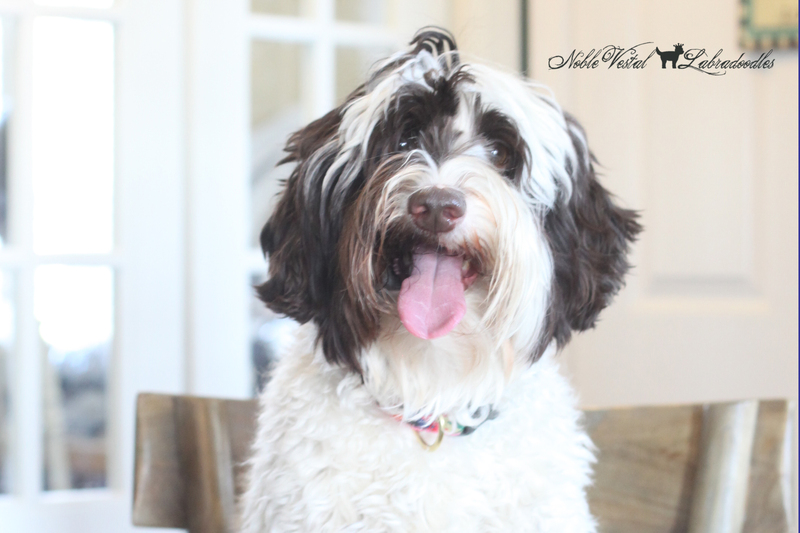 If someone tried to break into your home they would surely be licked to death! 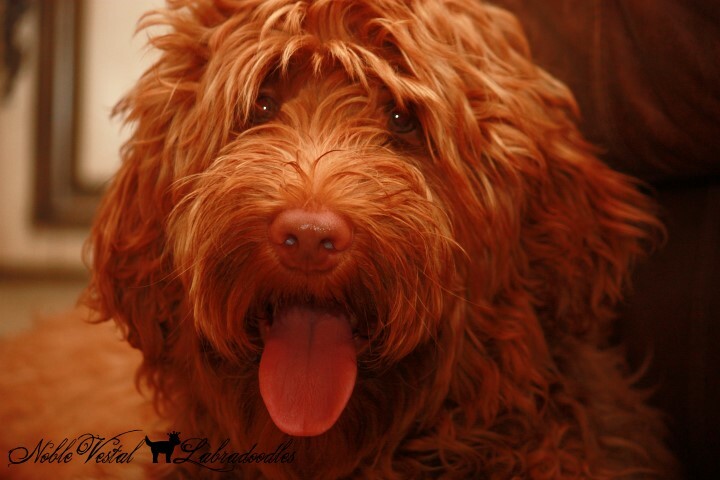 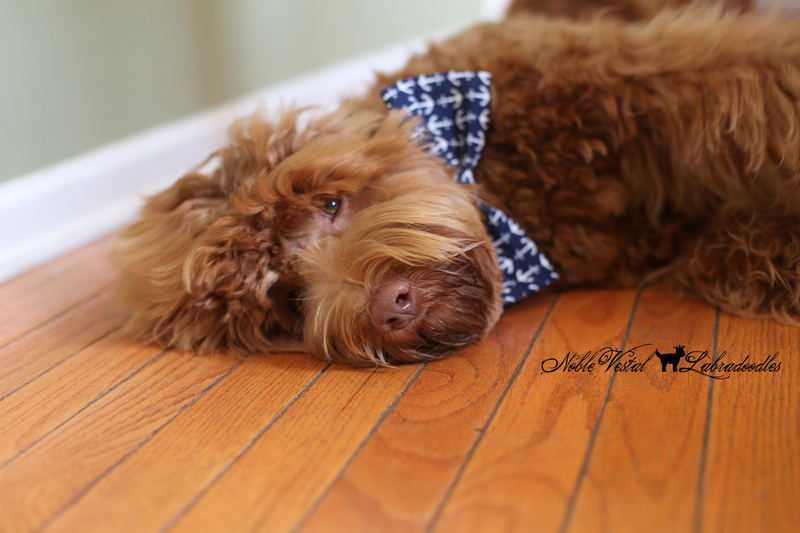 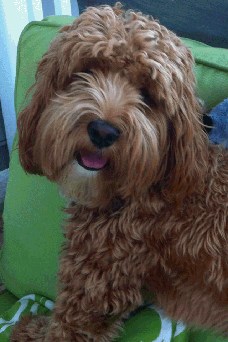 The Australian Labradoodle may bark a lot if not well exercised or if under socialized. 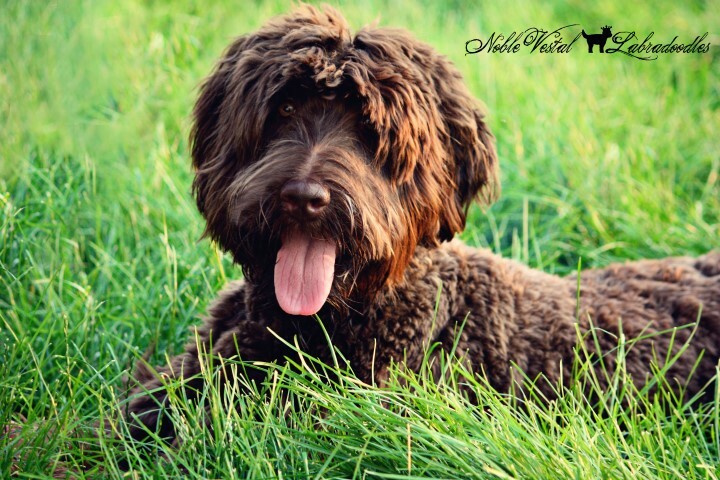 In summery this is a very popular breed because it is friendly, easy to train and doesn’t shed but it is not for everyone. 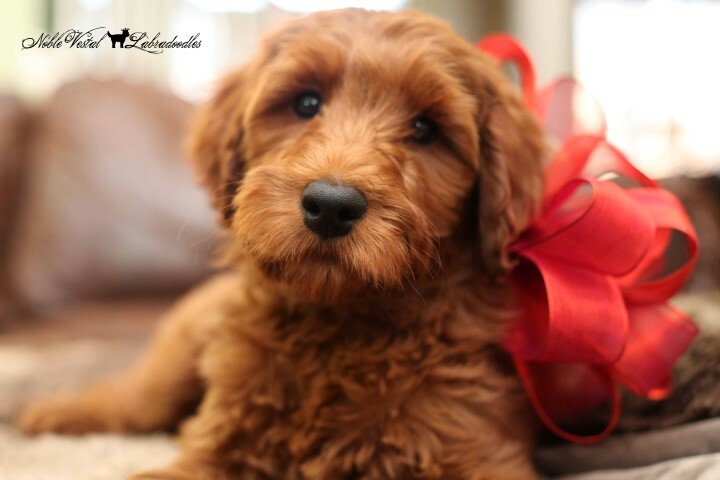 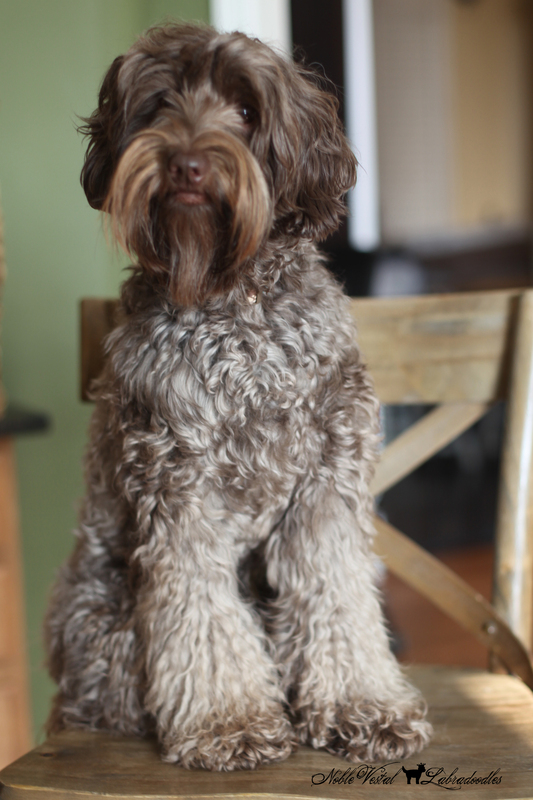 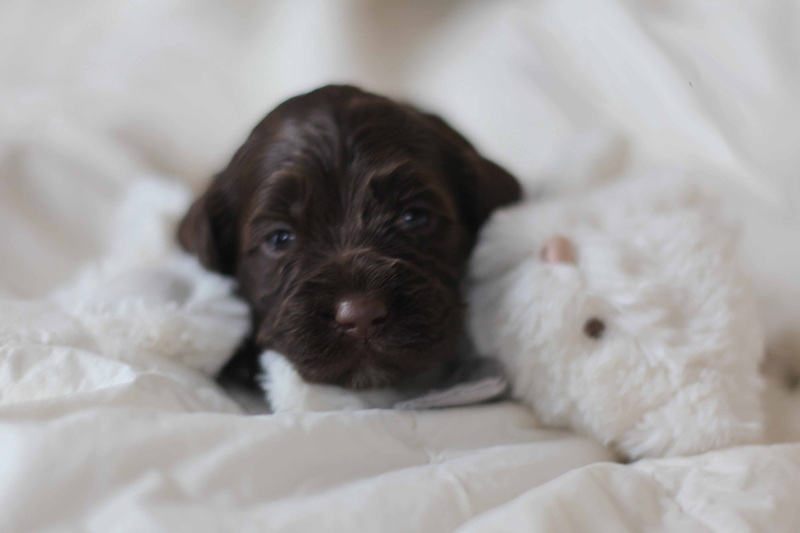 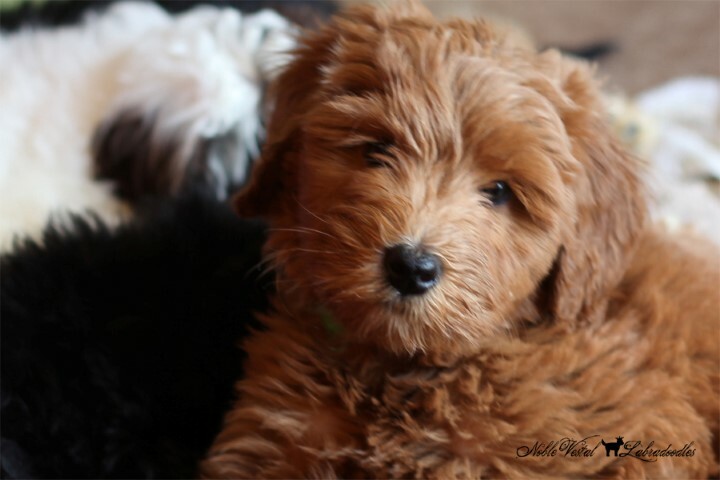 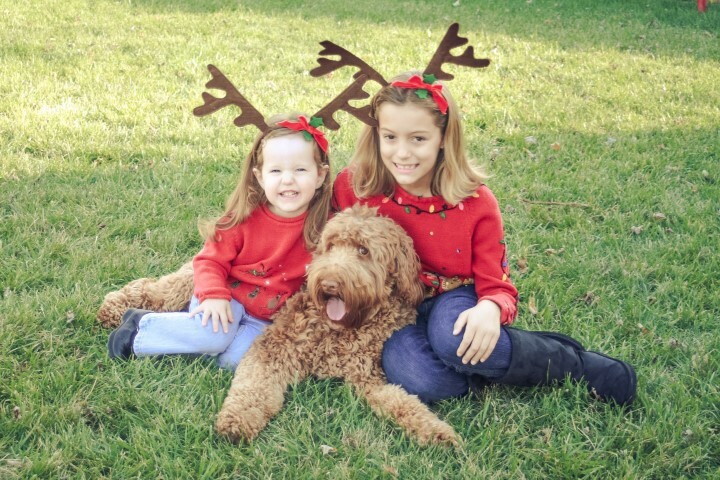 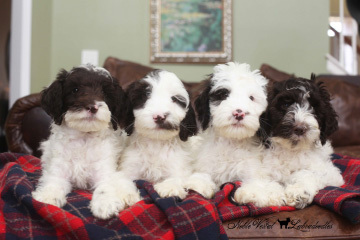 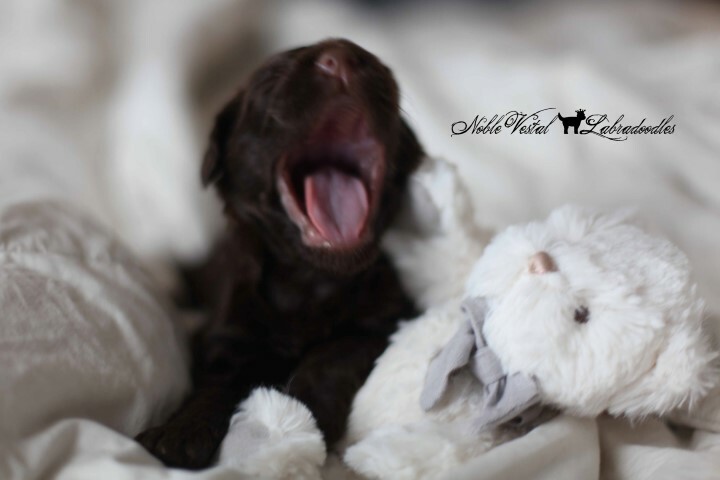 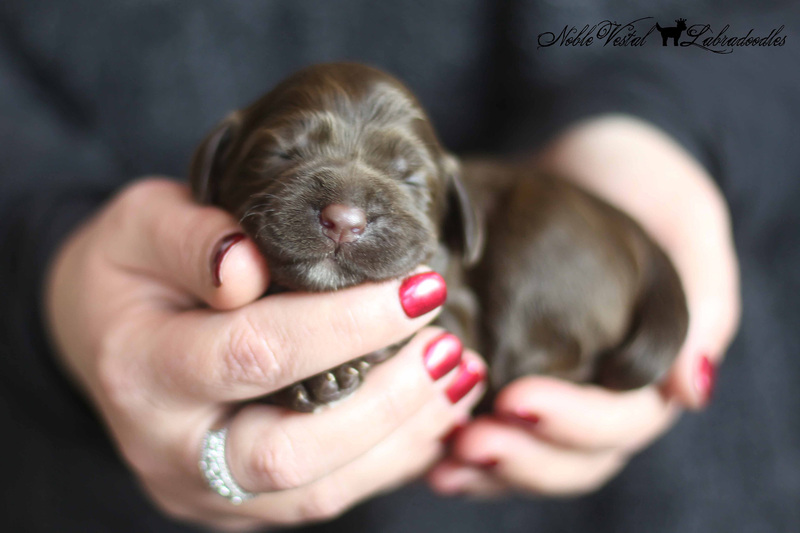 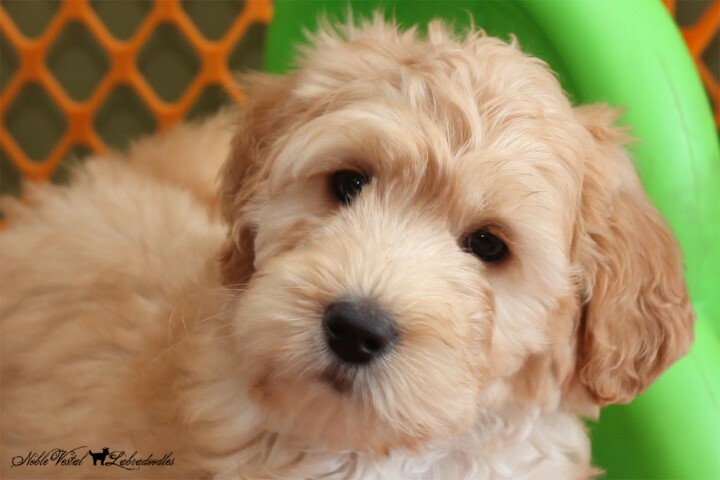 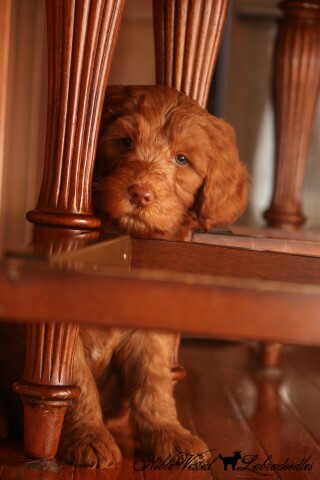 Families must be ready when they bring home an Australian Labradoodle. 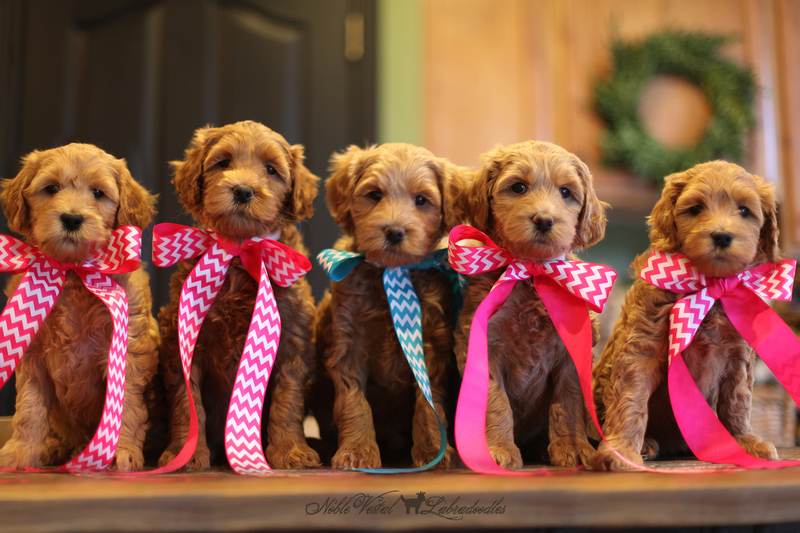 Ready to socialize their new puppy with the world, to attend training, to spend money on frequent trips to the groomer, to provide proper stimulation and exercise and to be ready to make this dog part of their family.